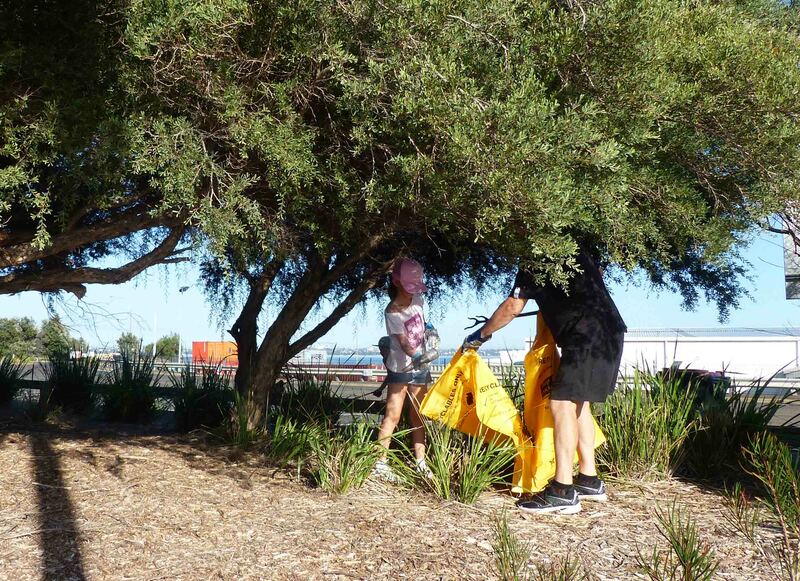 It was a magnificent Autumn Day for the 30th Anniversary of Clean Up Australia. 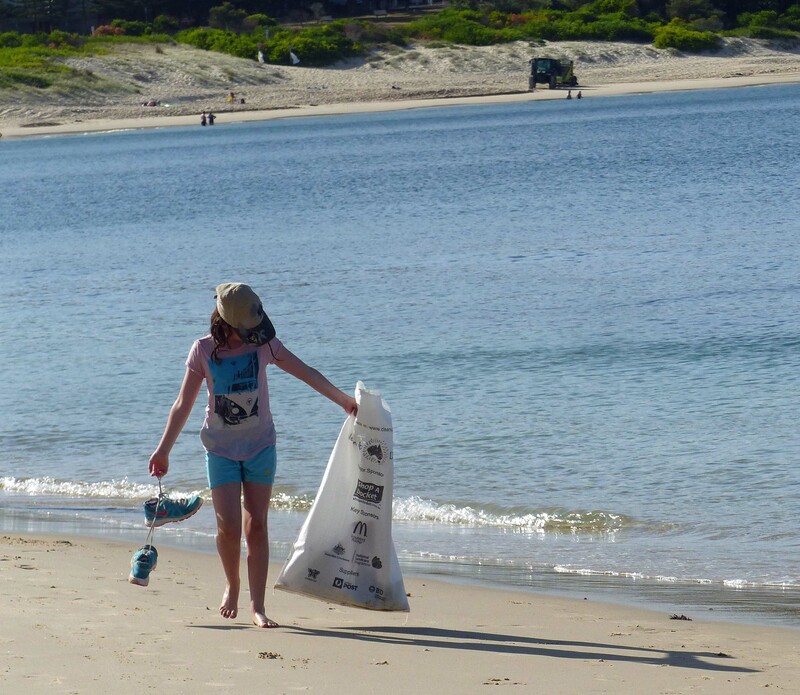 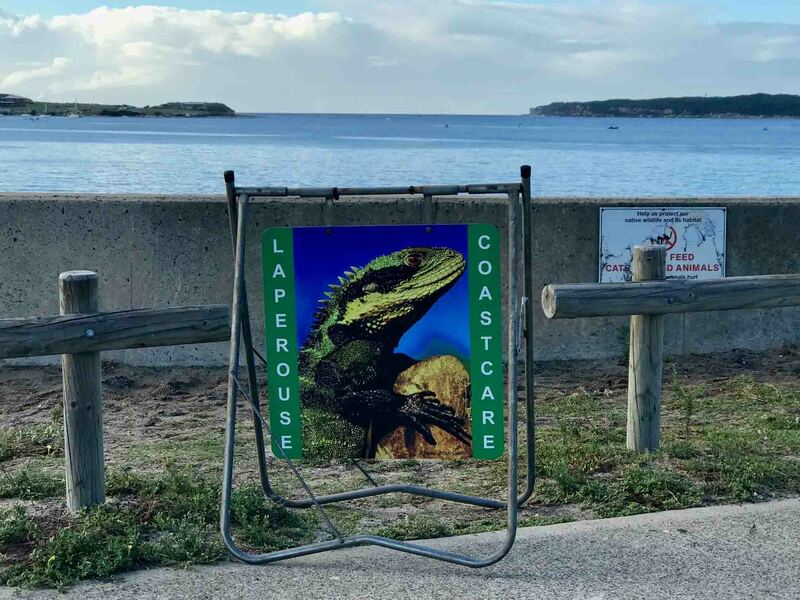 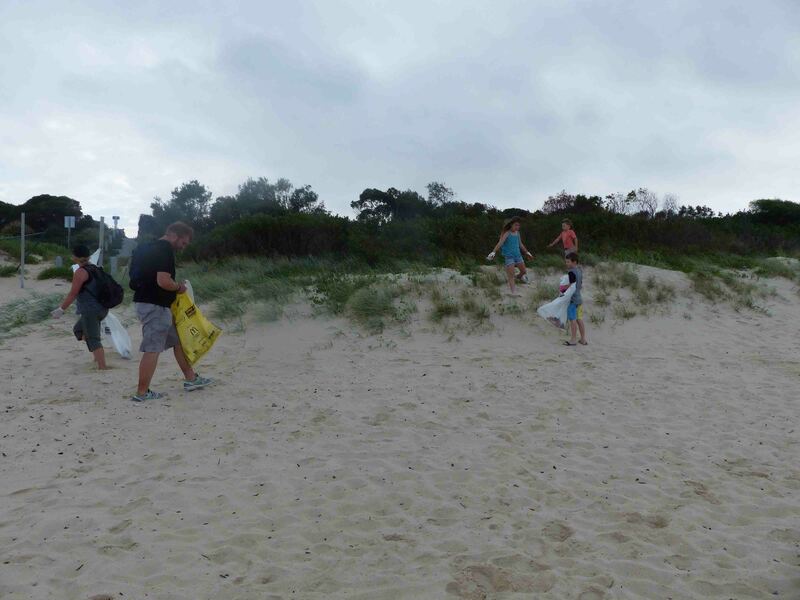 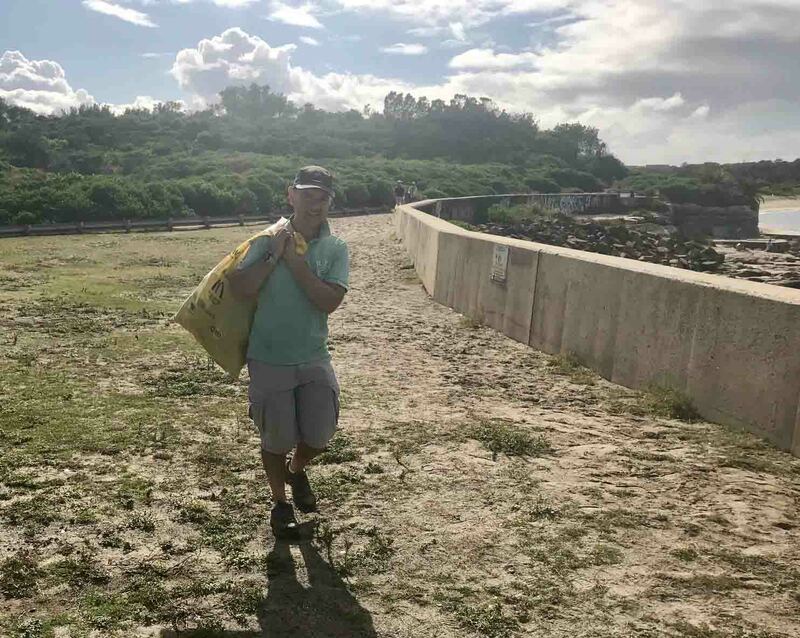 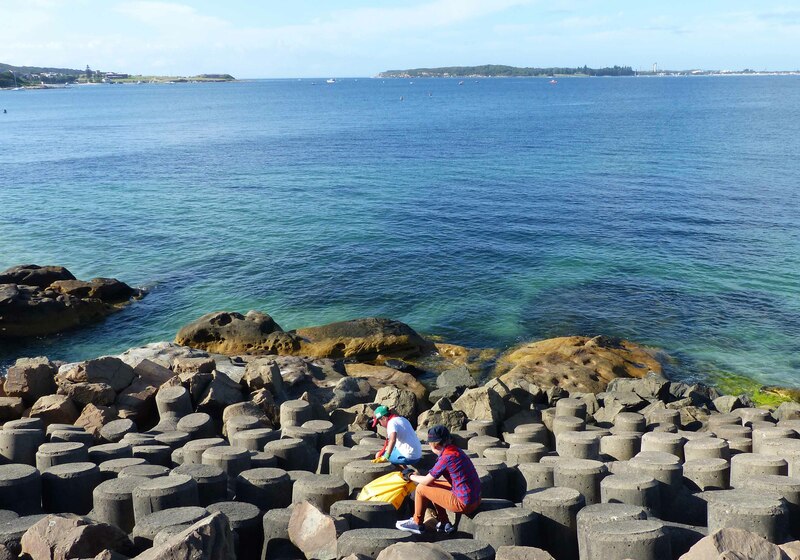 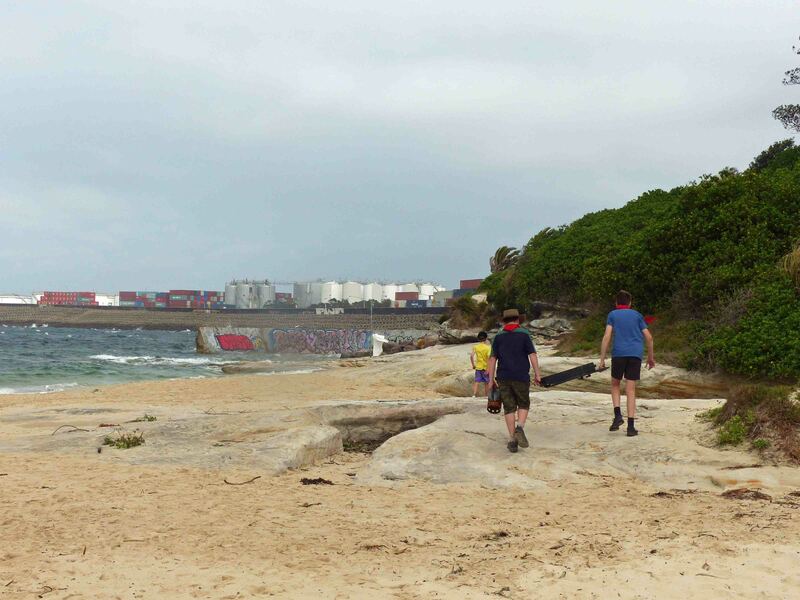 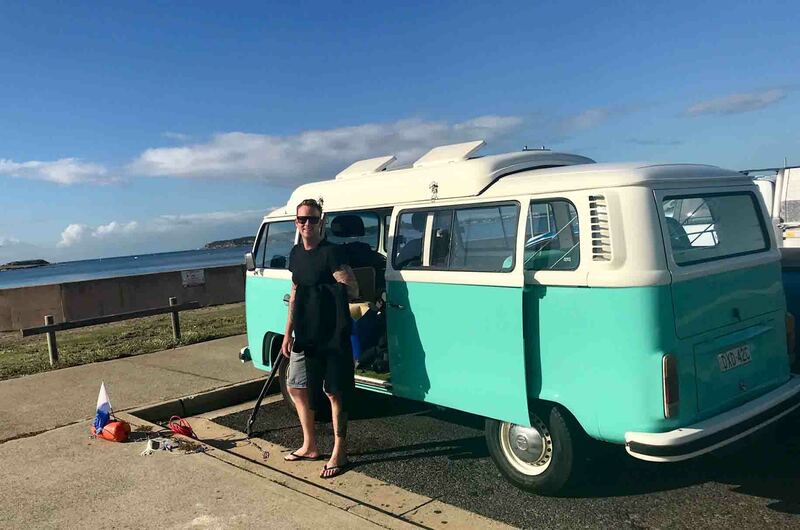 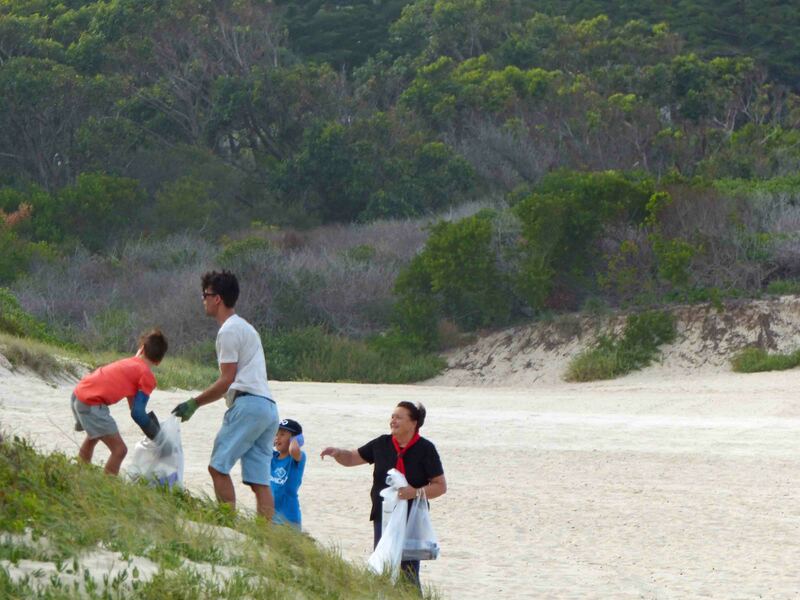 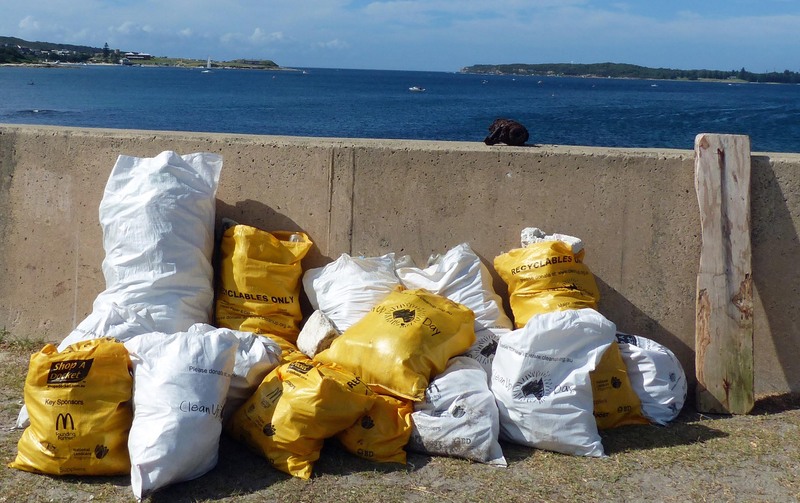 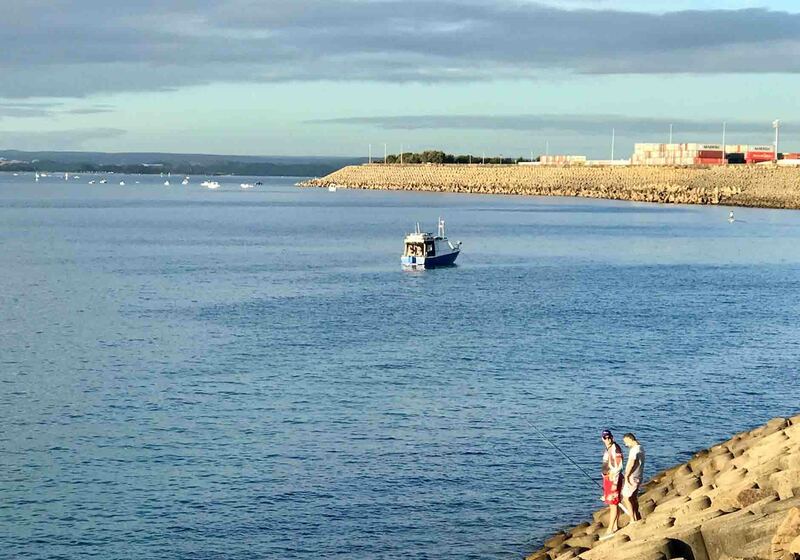 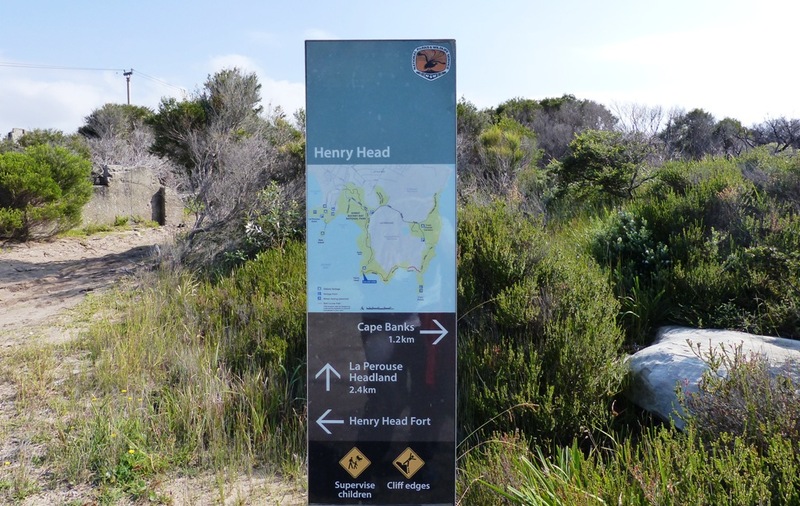 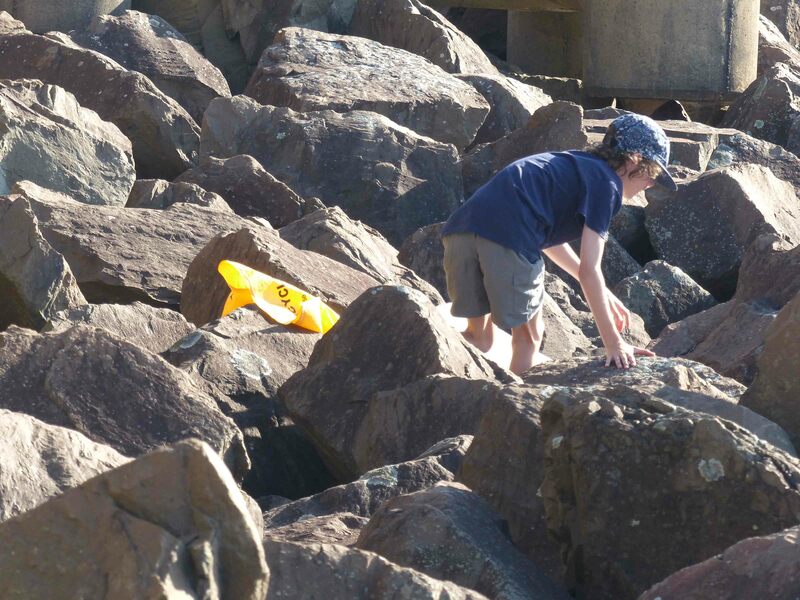 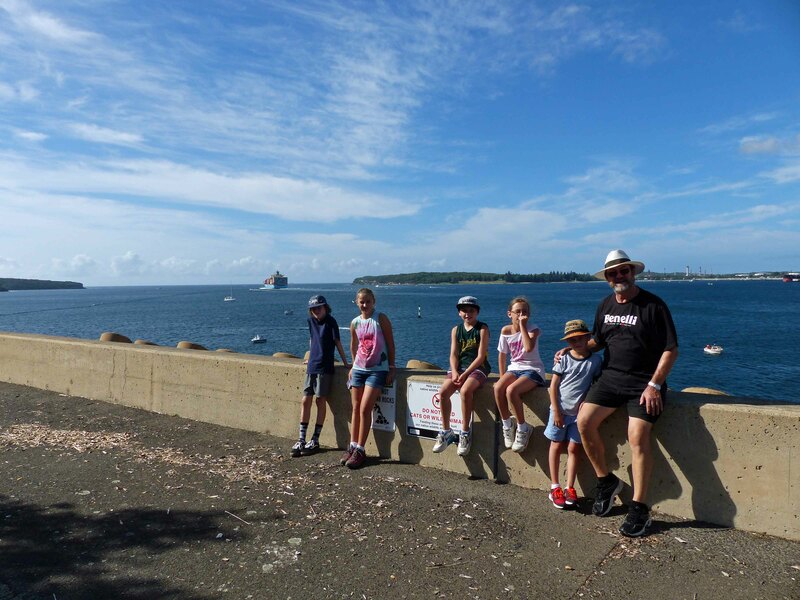 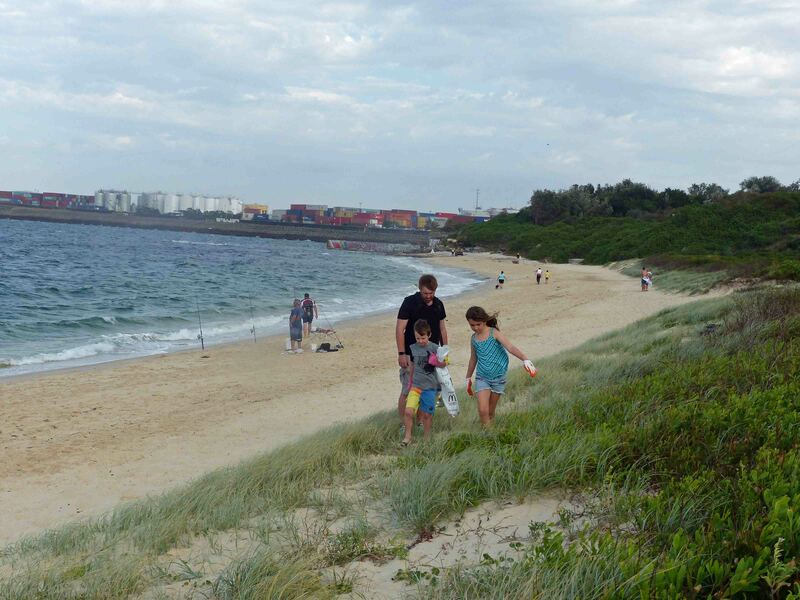 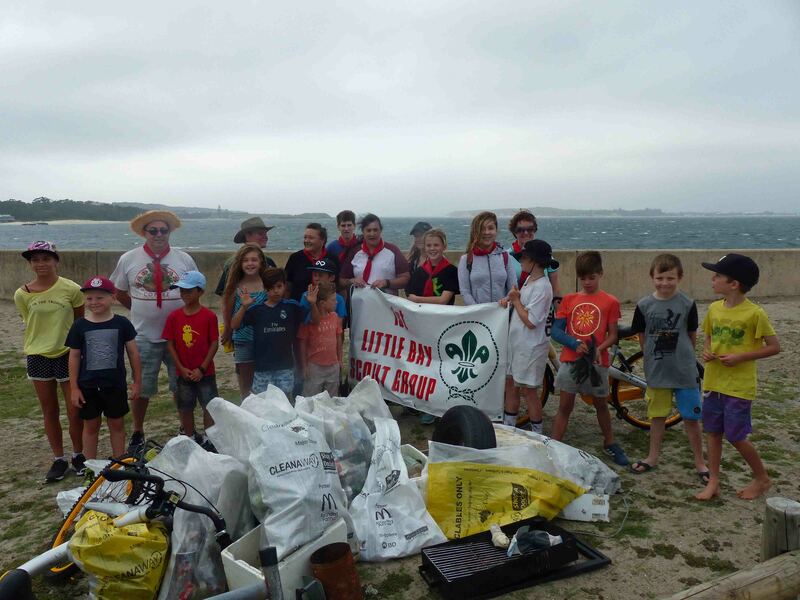 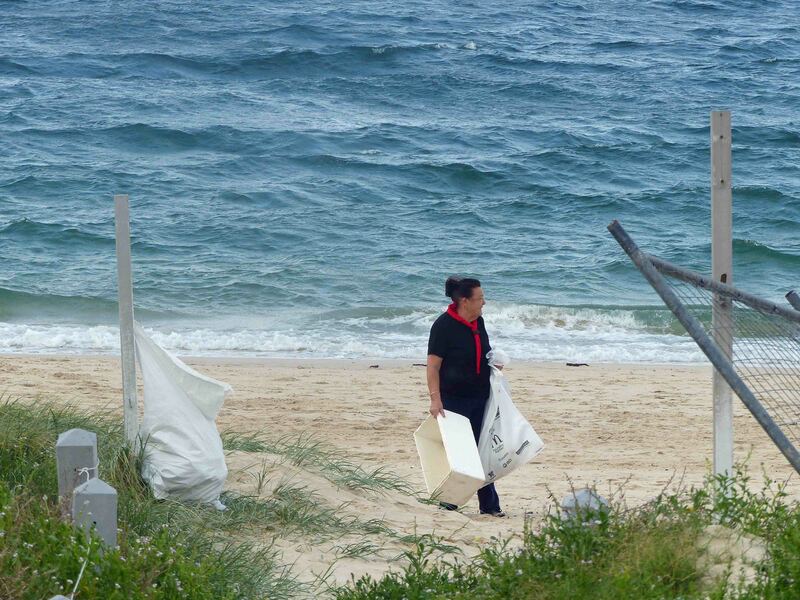 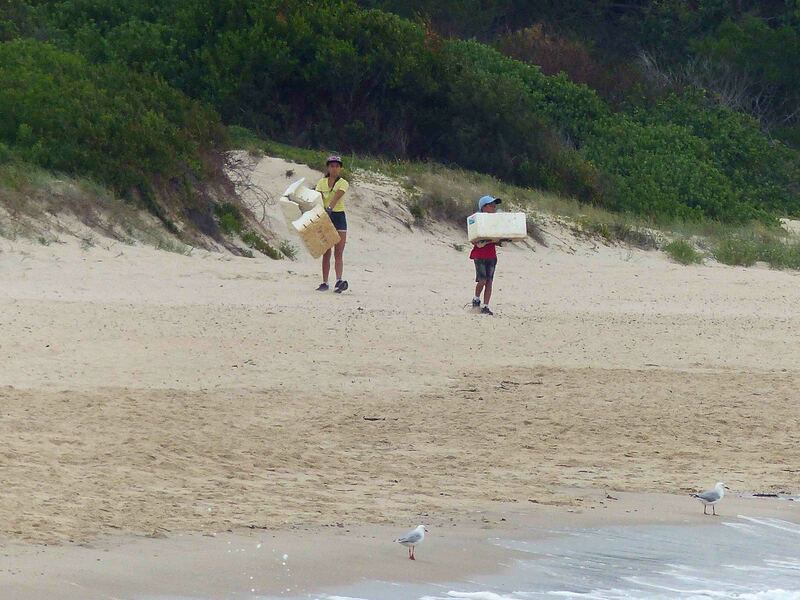 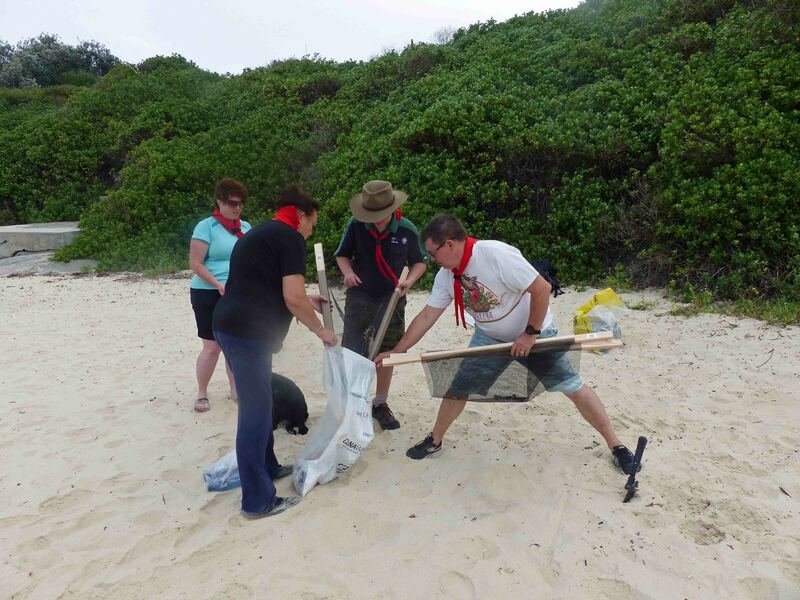 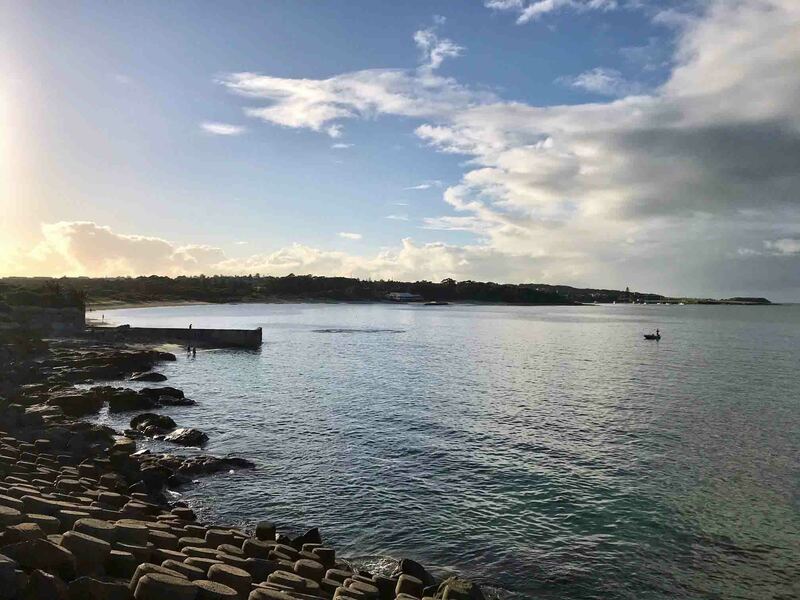 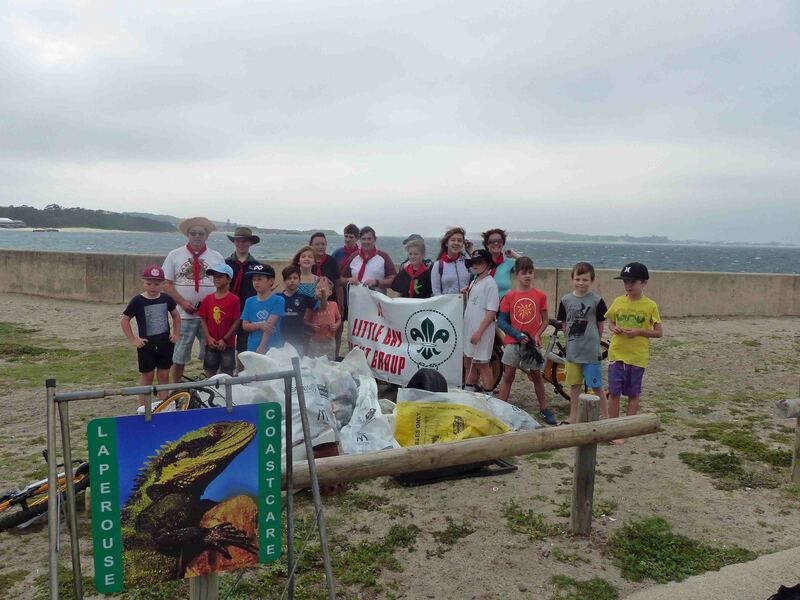 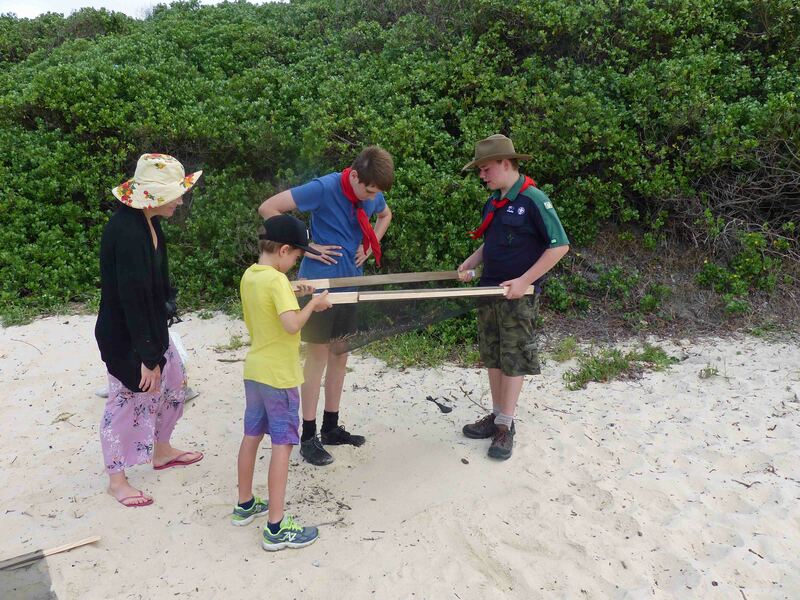 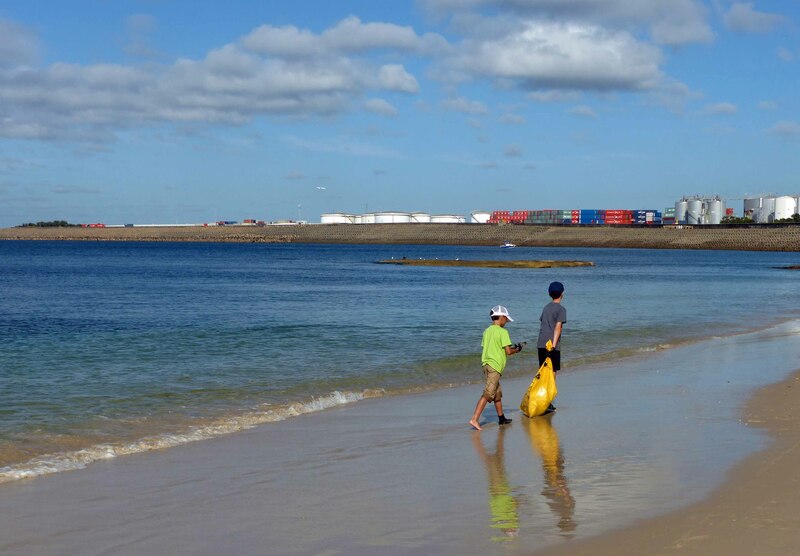 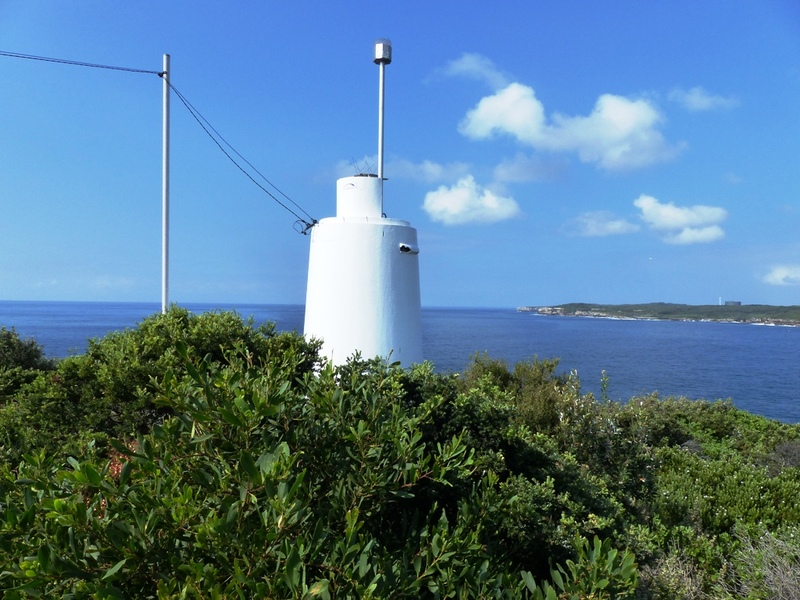 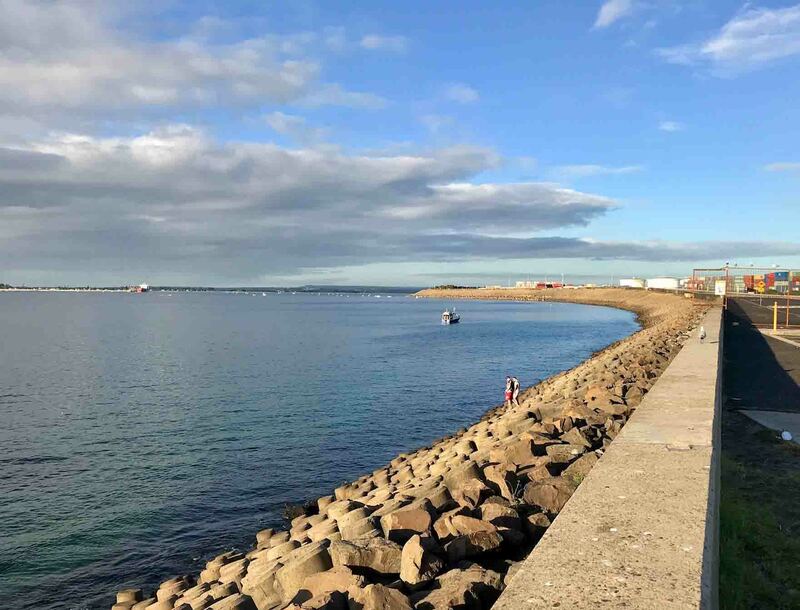 Little Bay Scouts, Cubs and one Fishcare volunteer came together under the La Perouse Coastcare banner to clean up around Port Botany – Molineux and Bumborah Point around to Yarra Bay. 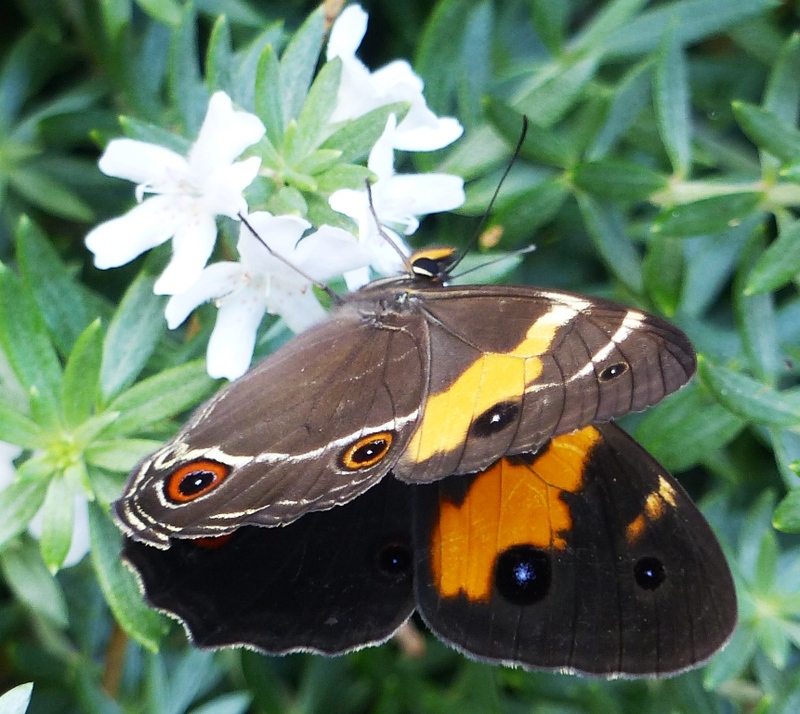 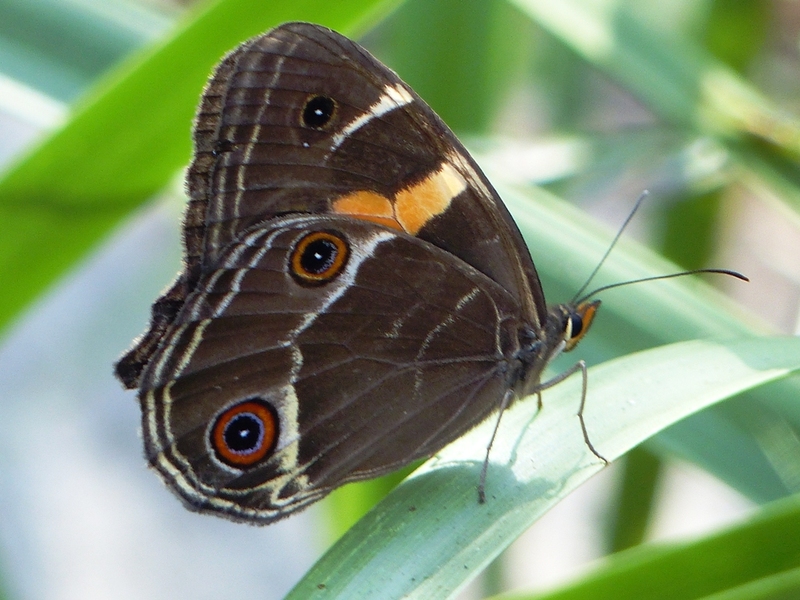 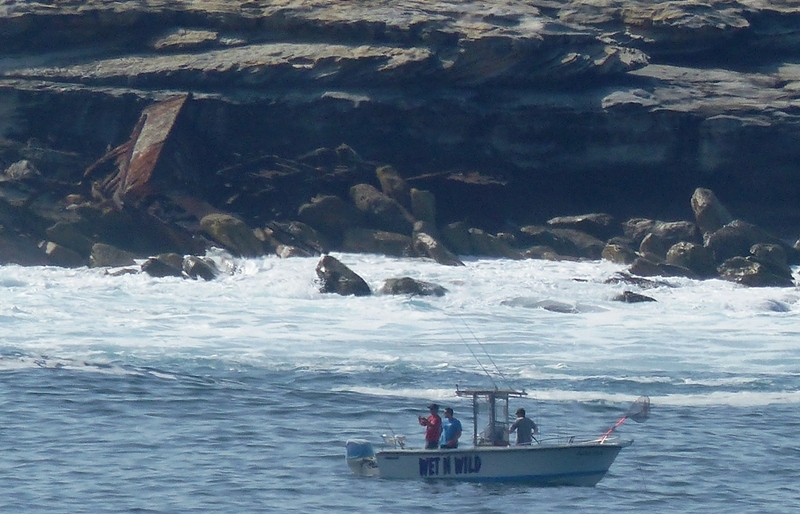 In all there were 11 adults (8 females/3 males) and 13 children (5 females/8 males). 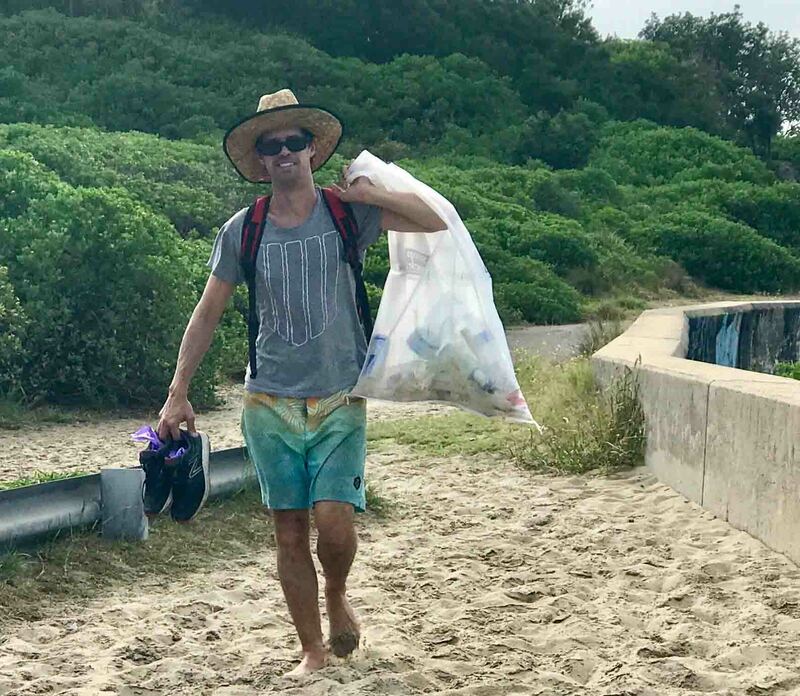 Anil from Randwick Council called by beforehand to distribute tickets to a screening of Blue at Randwick Ritz as well as prizes for the cubs. 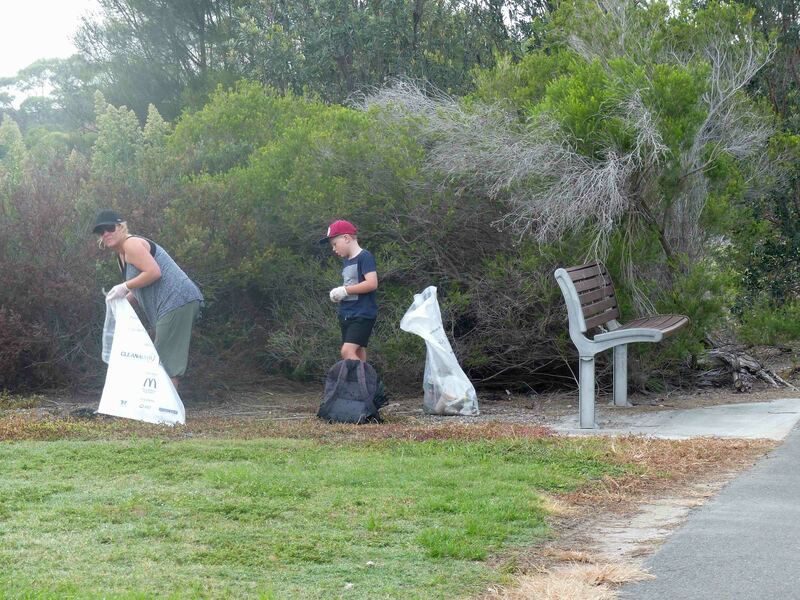 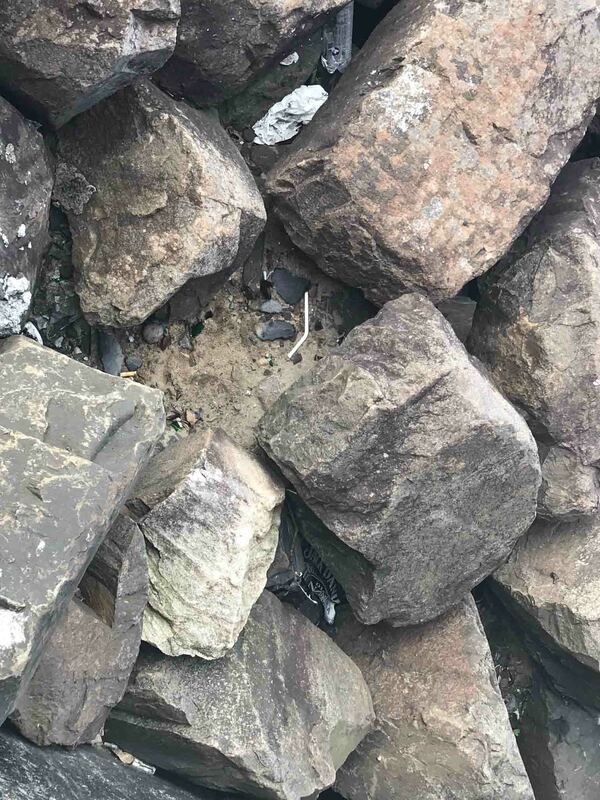 While there were still a lot of cigarette butts to collect plastic bottles were well down and the few collected were taken away to the return and earn facility. 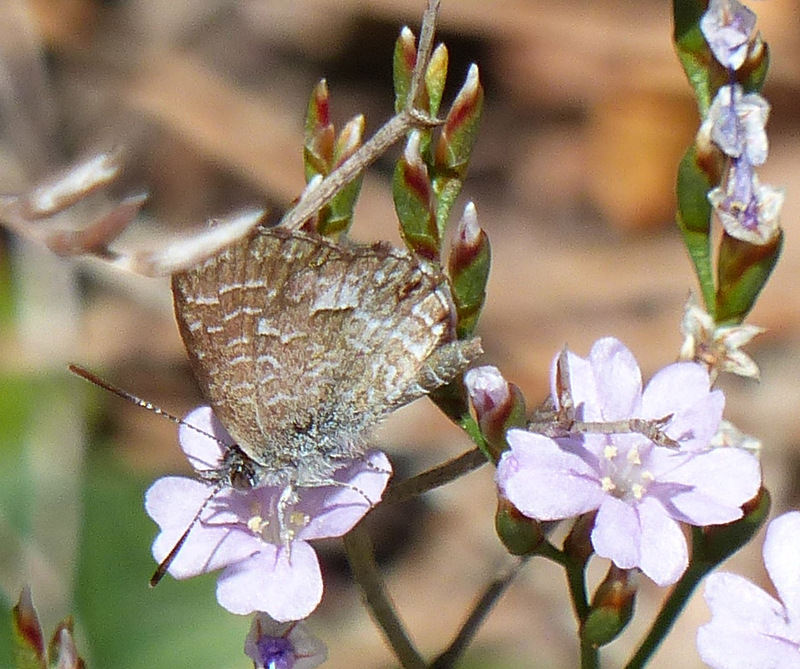 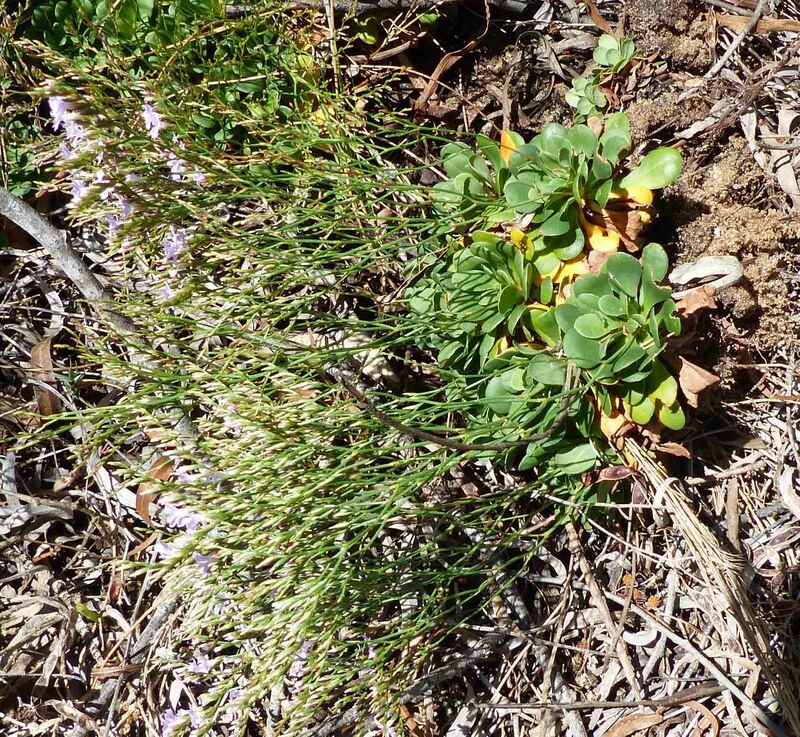 On a Weeds Field trip to the Central Coast today to see Sicilian Sea Lavender –Limonium hyblaeum (Plumbaginaceae) – in situ at Saratoga Nature Reserve before its eradication. 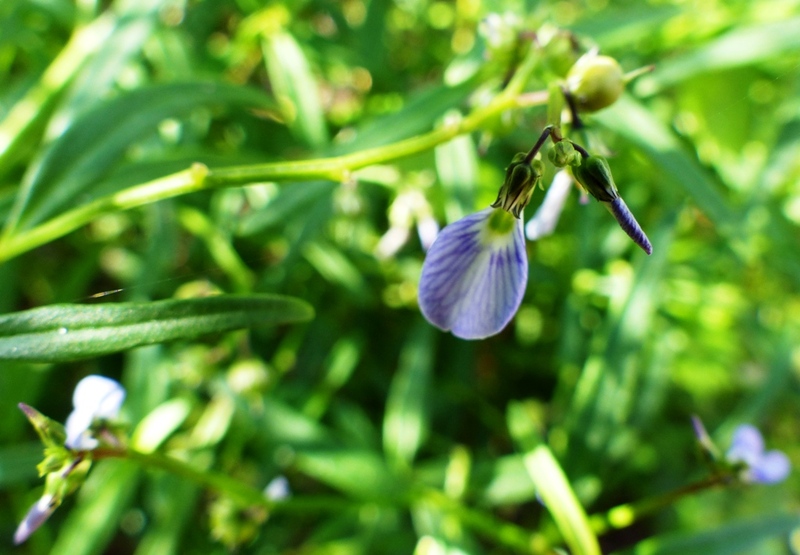 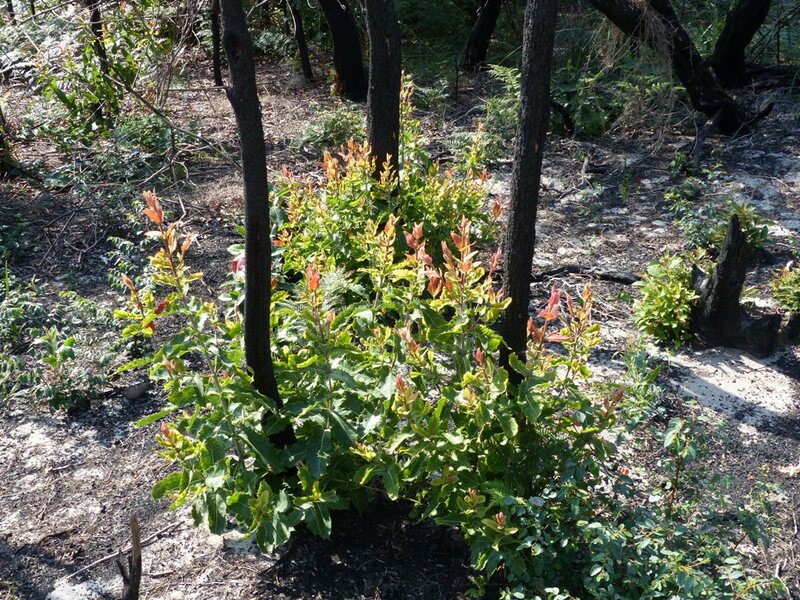 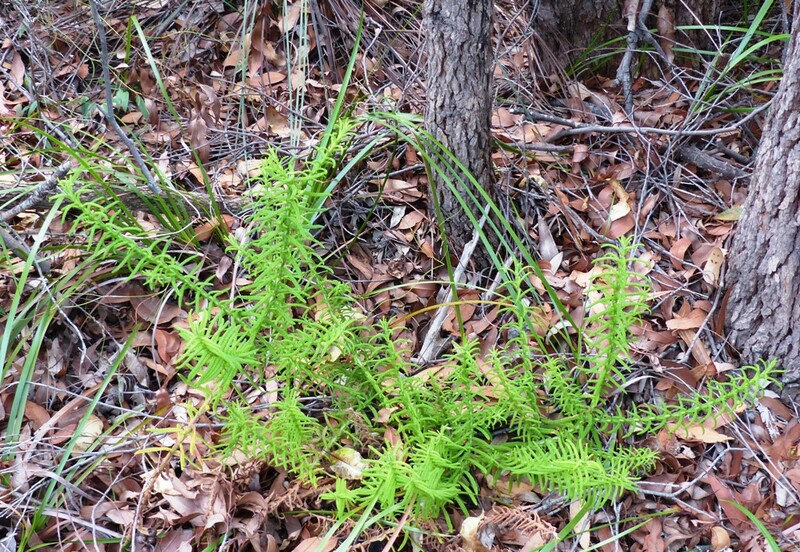 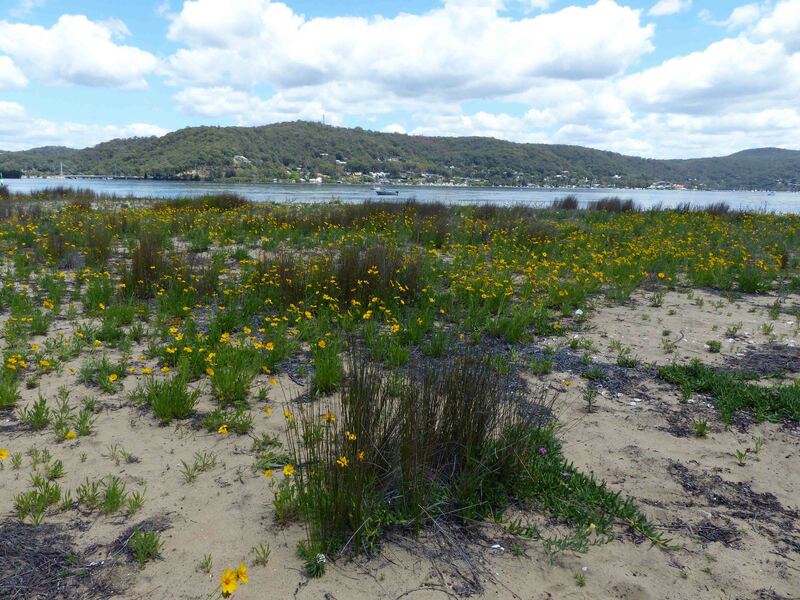 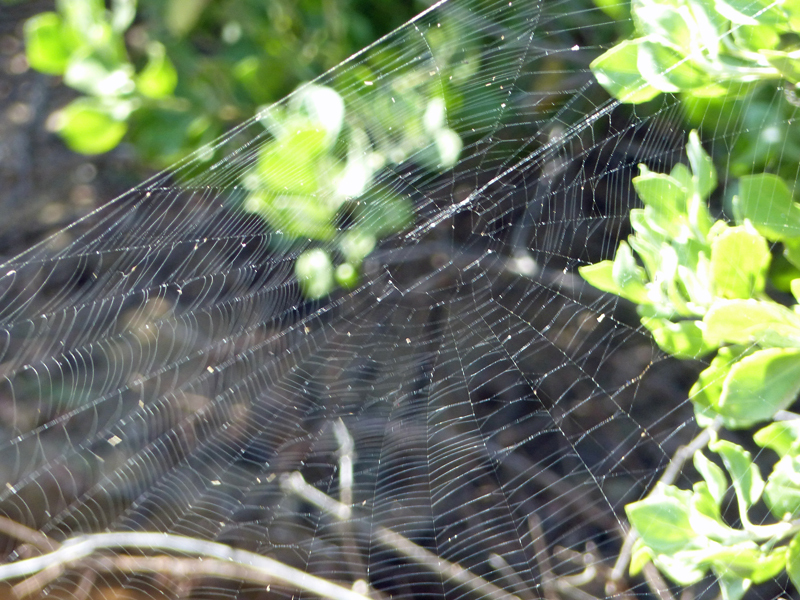 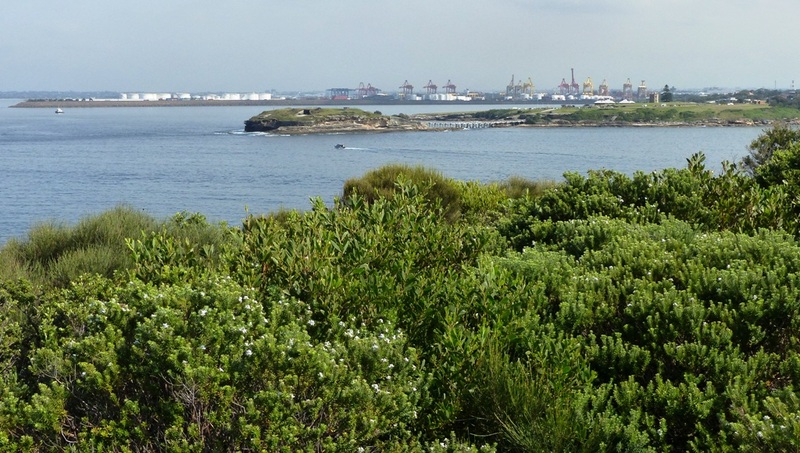 This invasive species which destroys native salt marsh species, has already taken hold in Victoria . 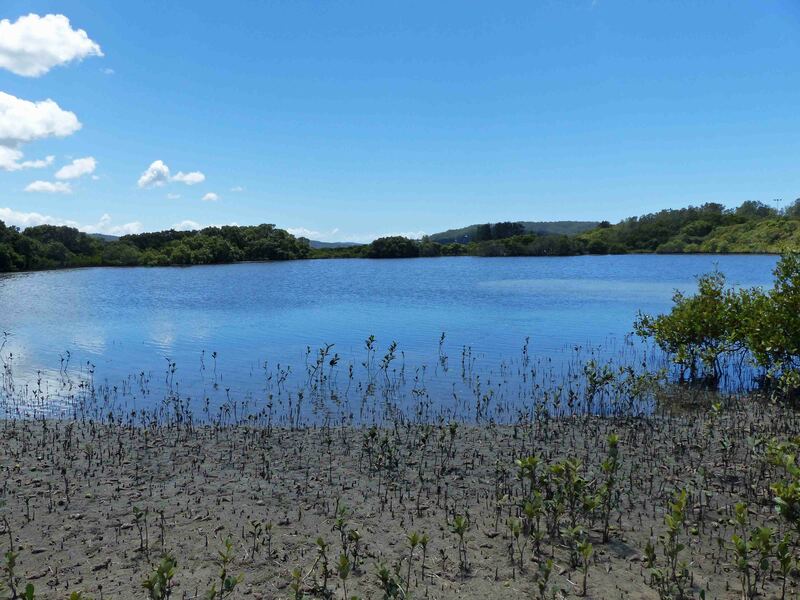 Fortunately it has only been recorded in NSW at Saratoga and Lake Conjelligo. 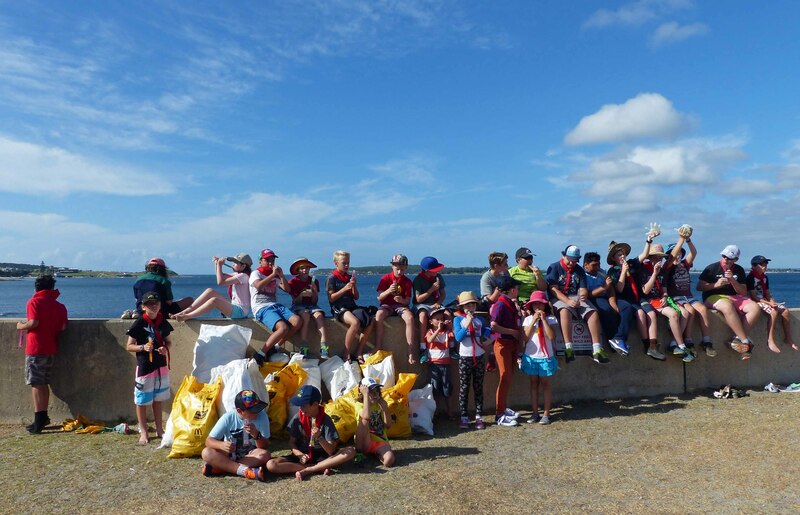 Thanks to Nicola Nixon for organising the trip. 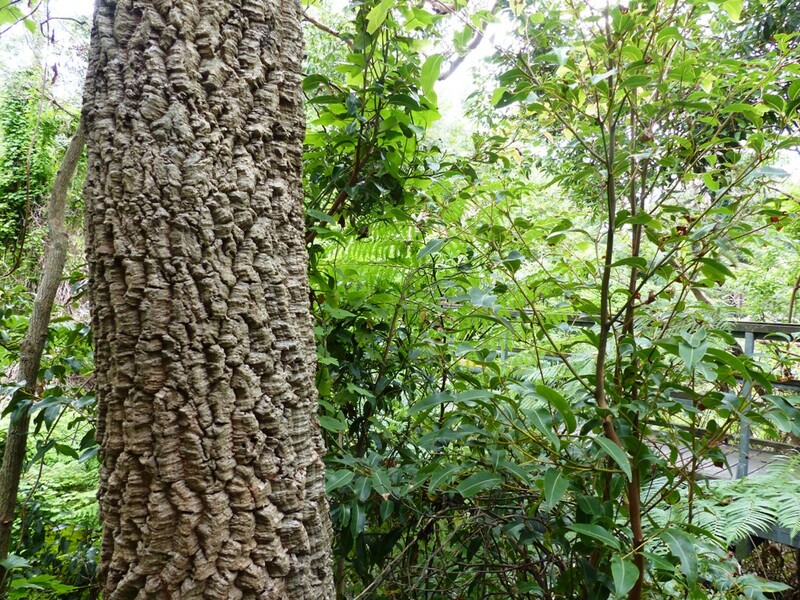 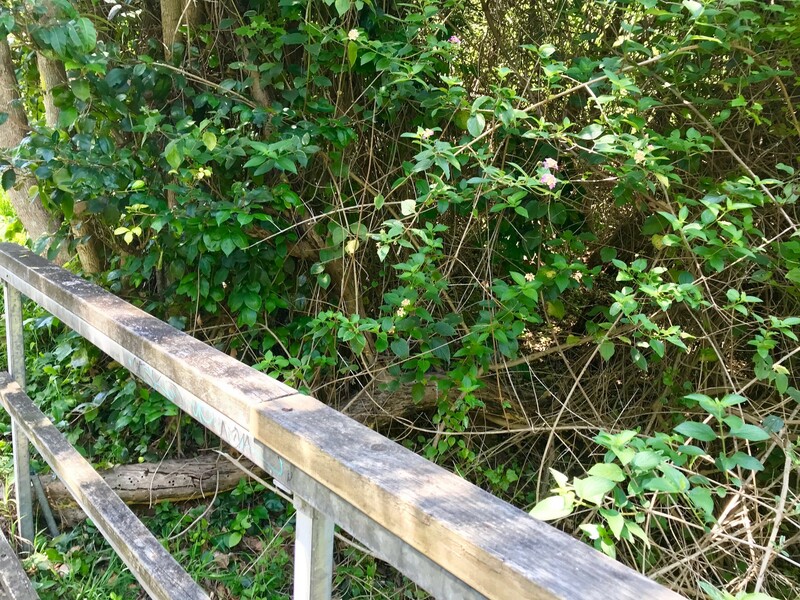 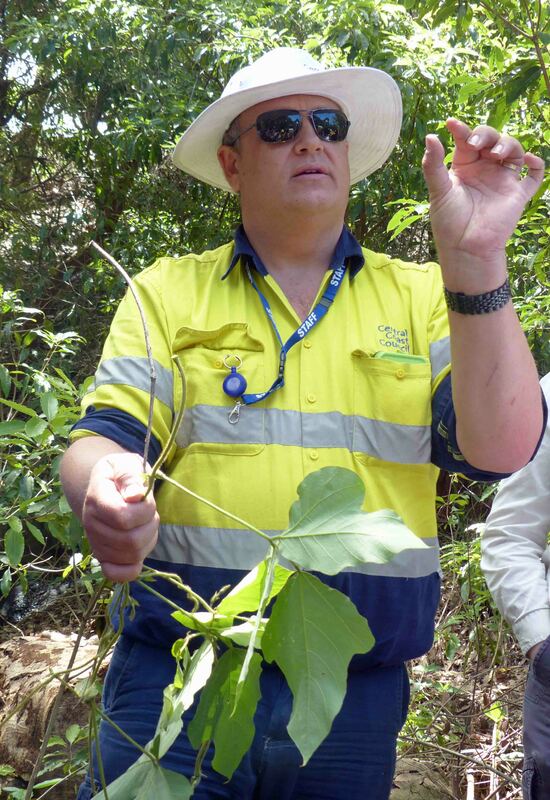 Another disturbing incursion has been the Kudzu( Pueraria lobata) observed in a number of locations on the Central Coast and Northern NSW. 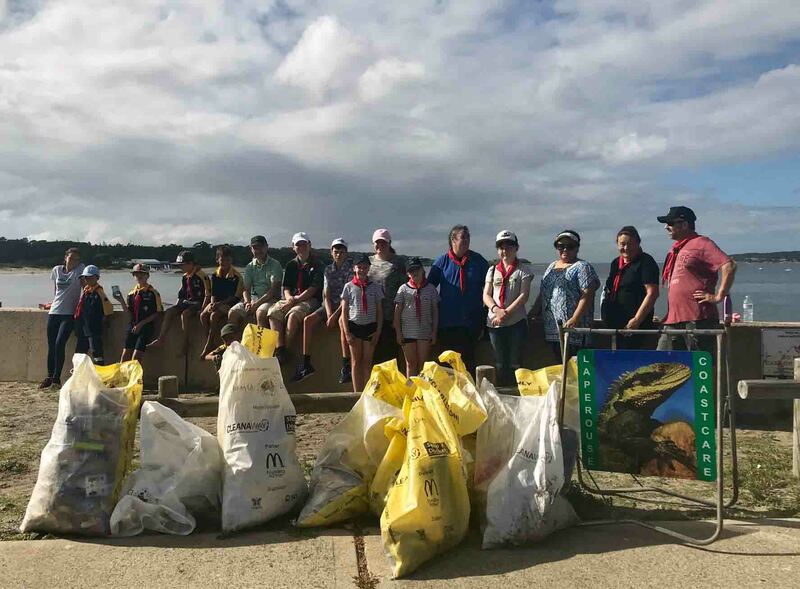 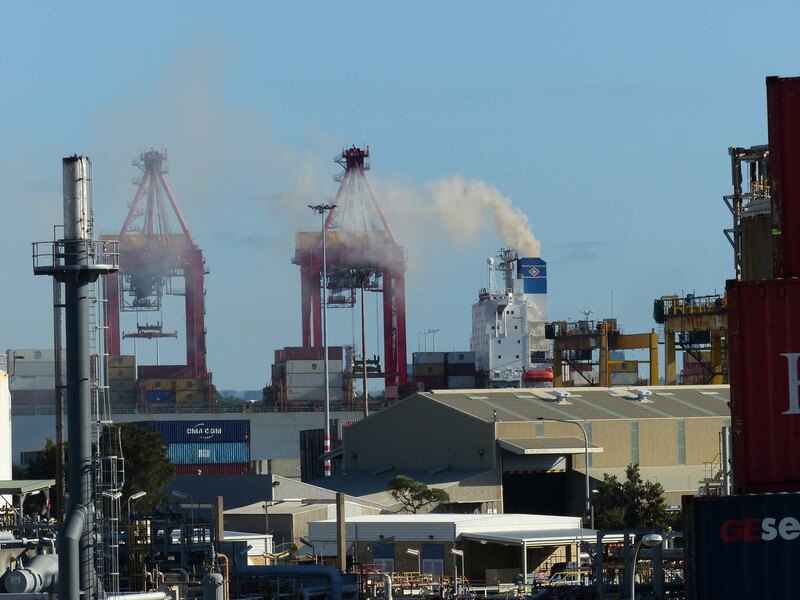 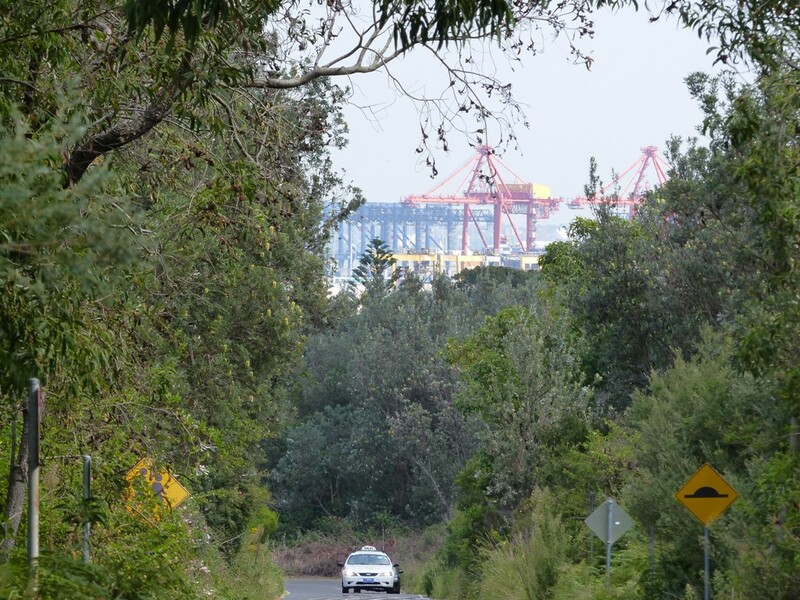 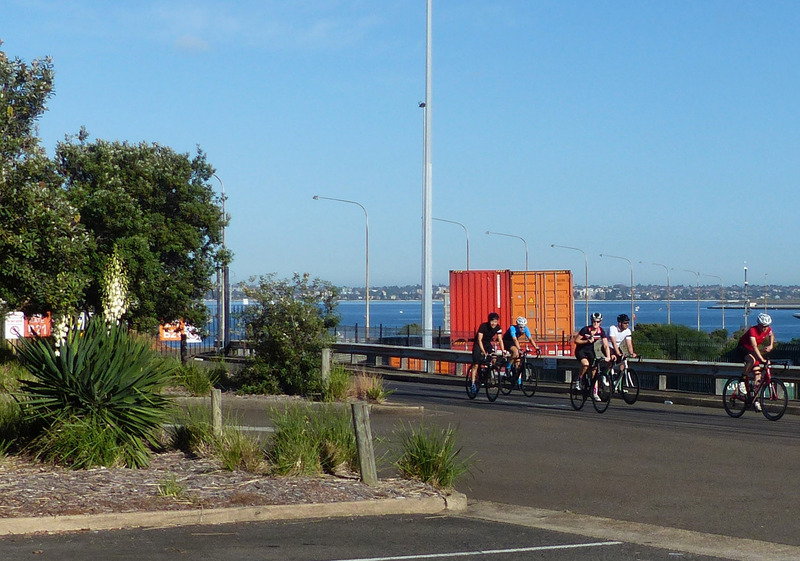 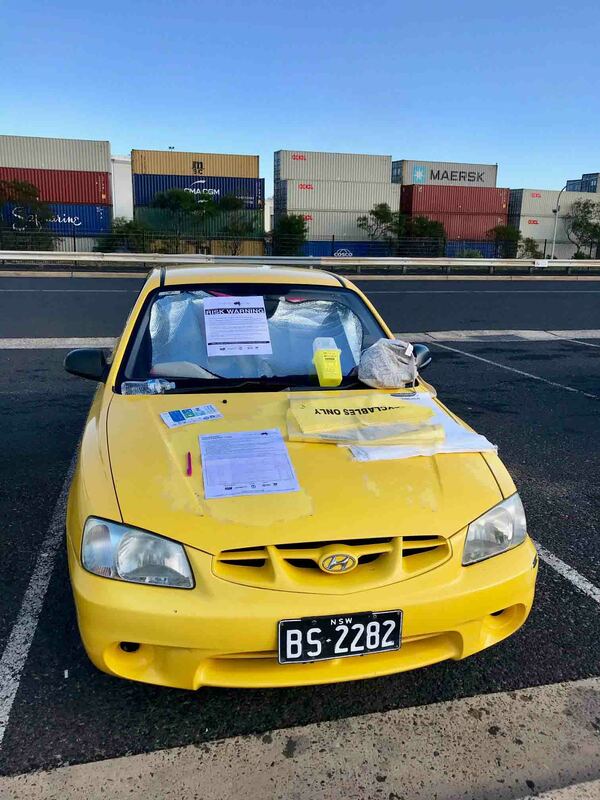 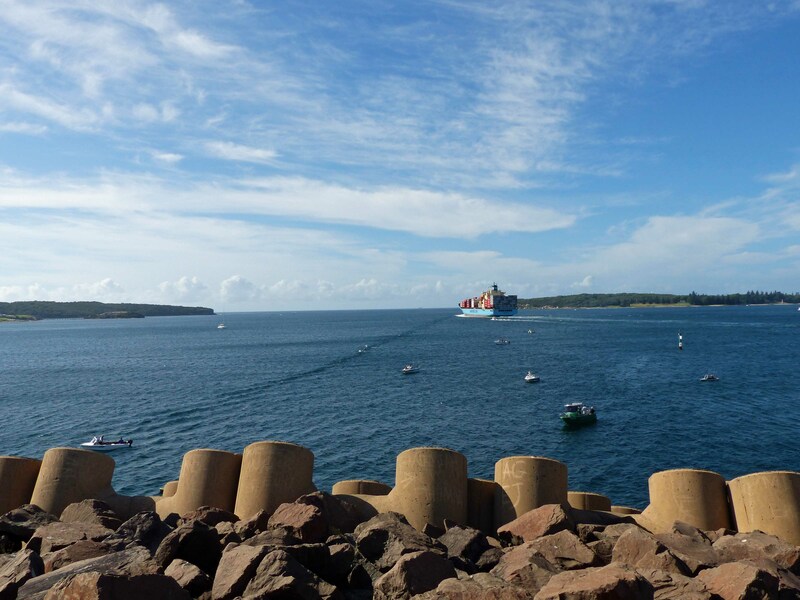 The weather was perfect this morning for the annual clean up of Molineux and Bumborah Points at Port Botany. 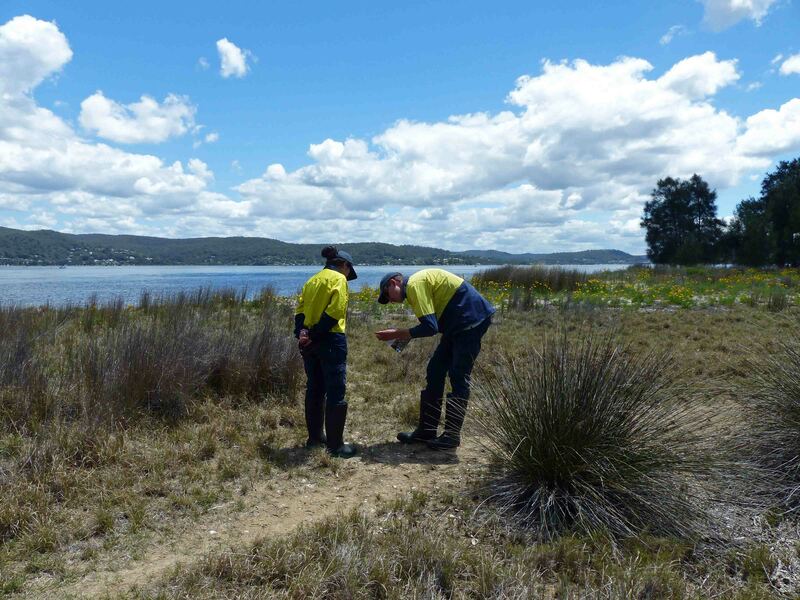 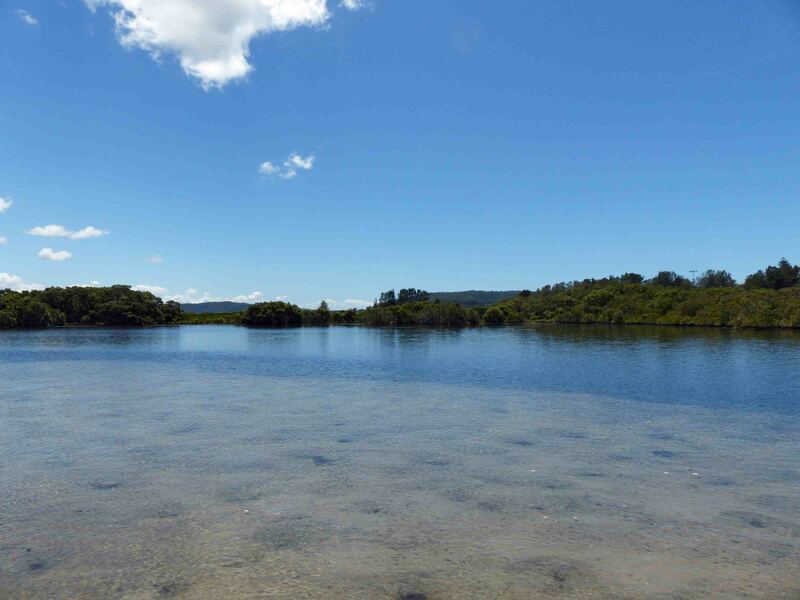 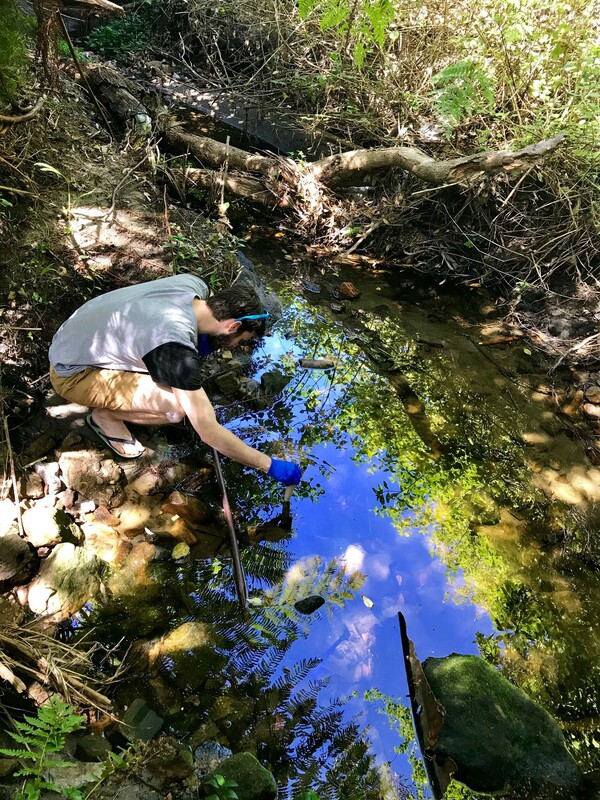 Water Testing yesterday at Congwong Lagoon: Water Temperature 23; pH 6; Electrical Conductivity 680; Turbidity 18; Coliforms 1300 per 100ml; Dissolved oxygen 4.7 (55%) Phosphate 0.06 ppm. 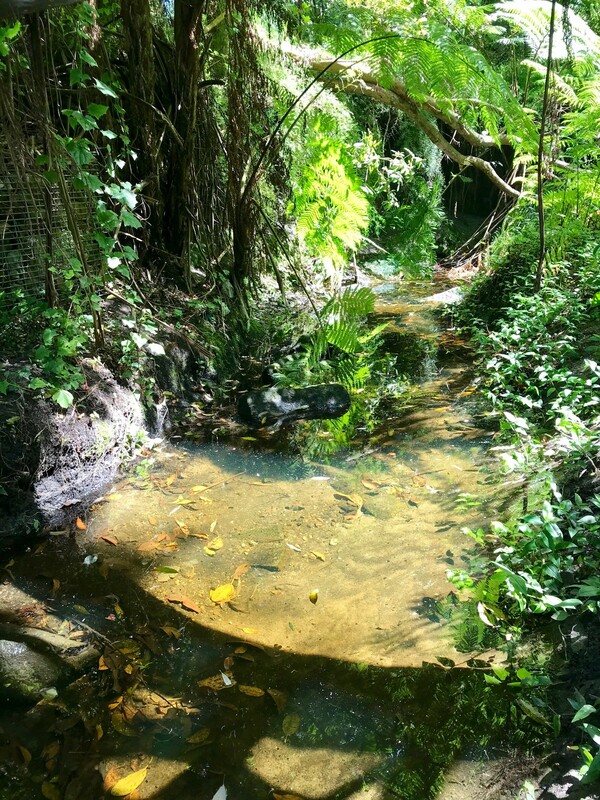 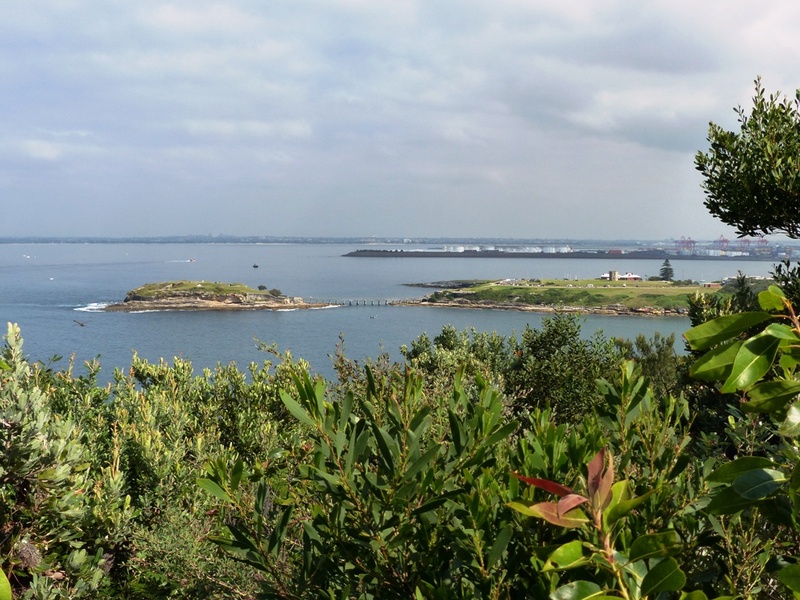 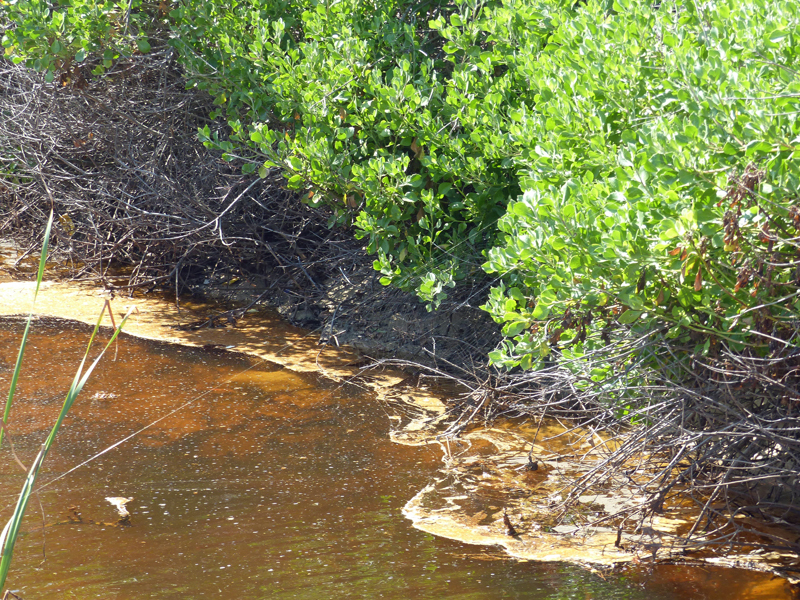 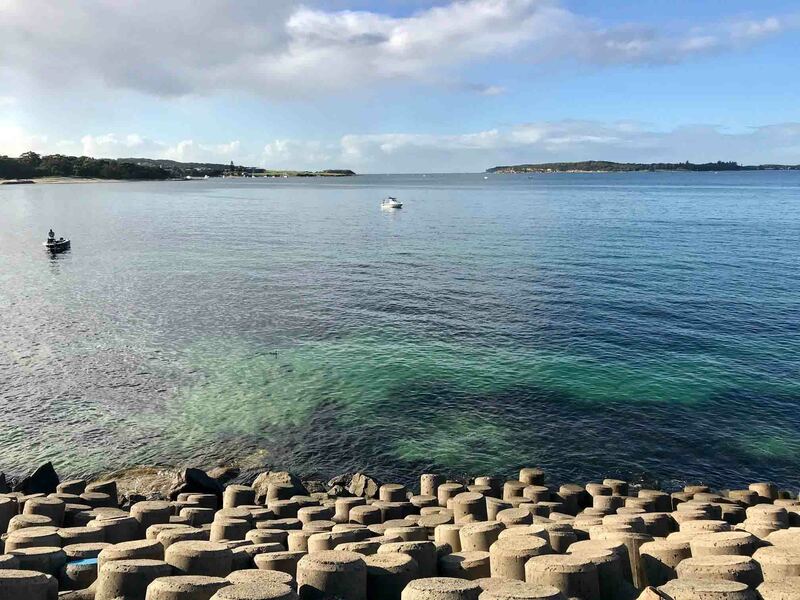 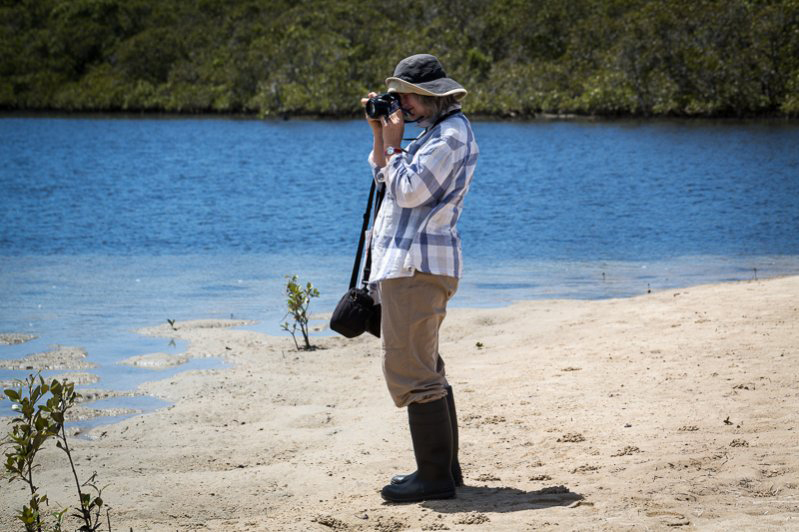 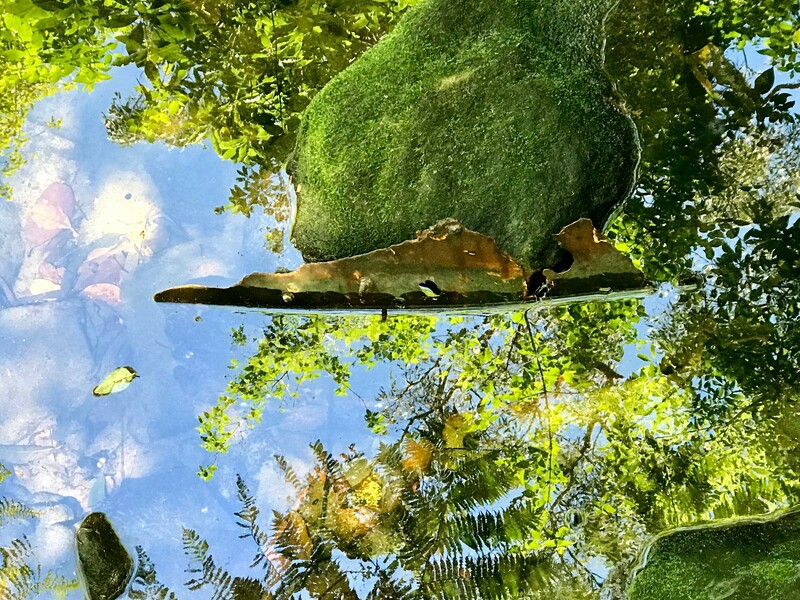 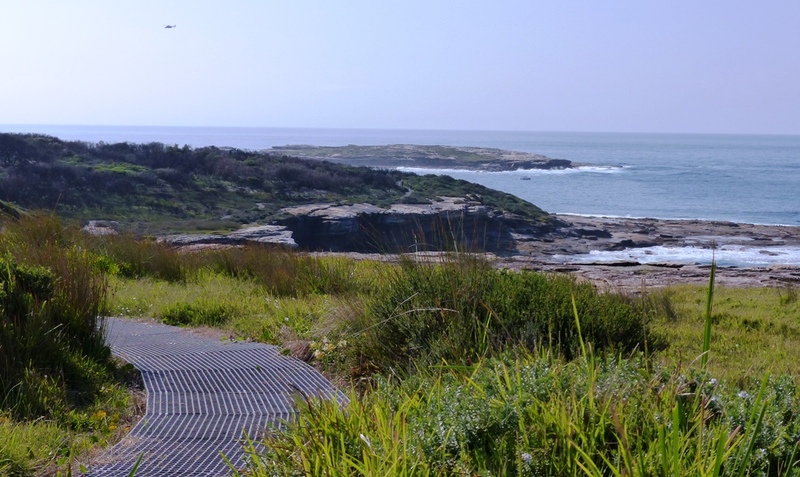 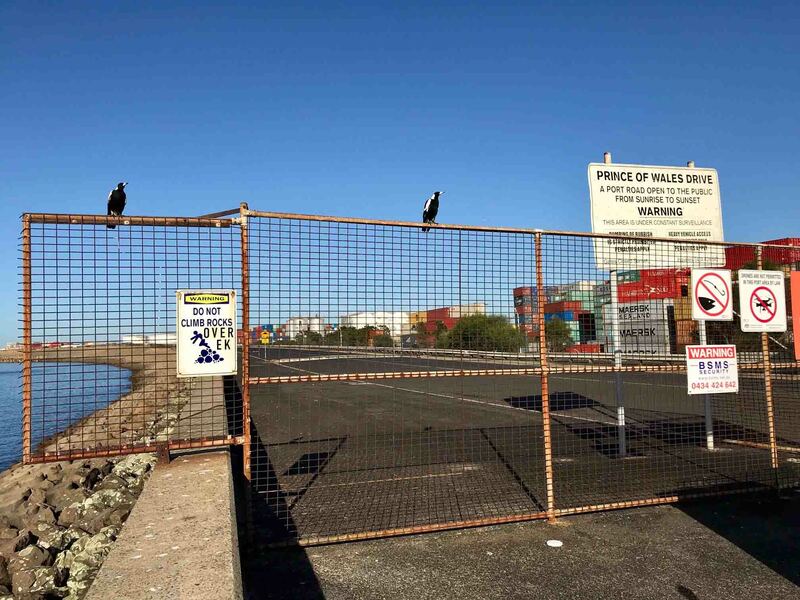 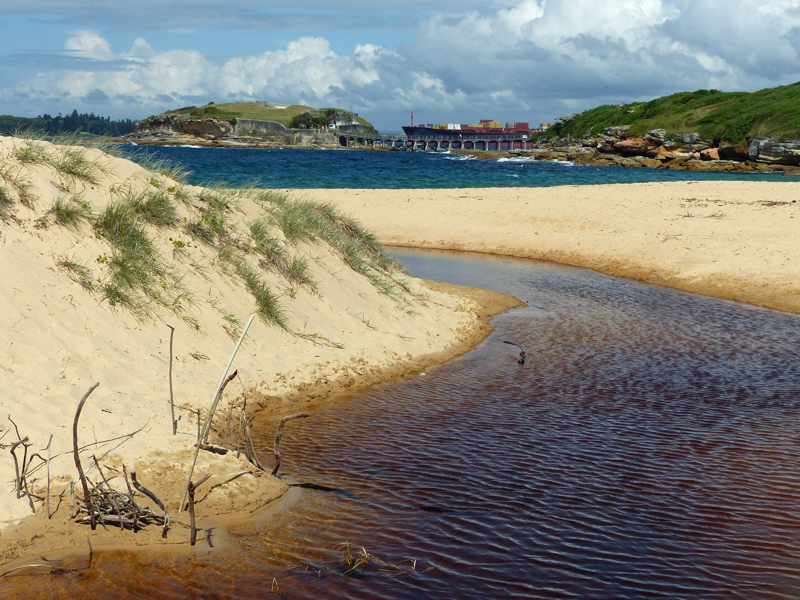 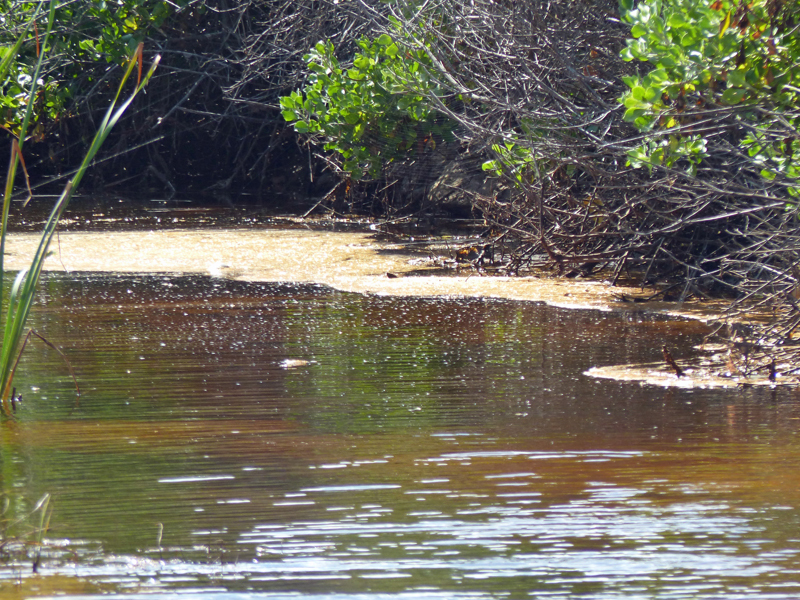 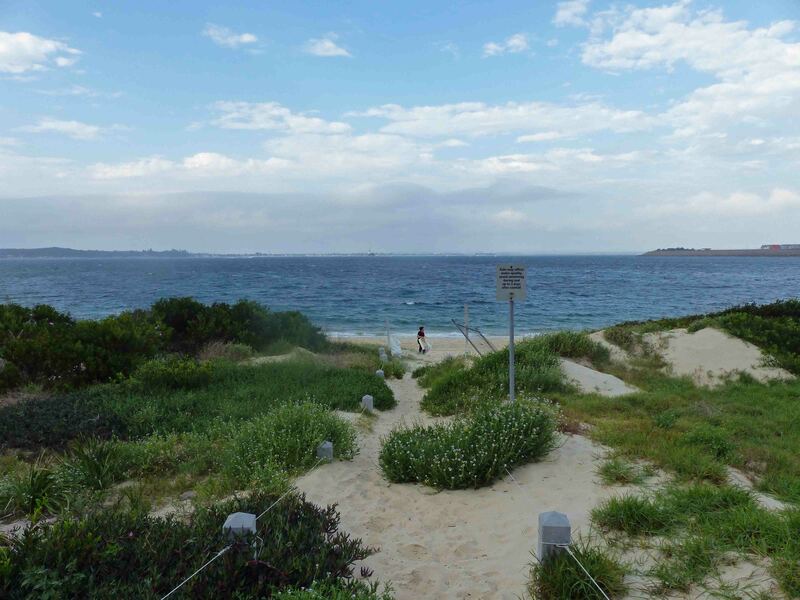 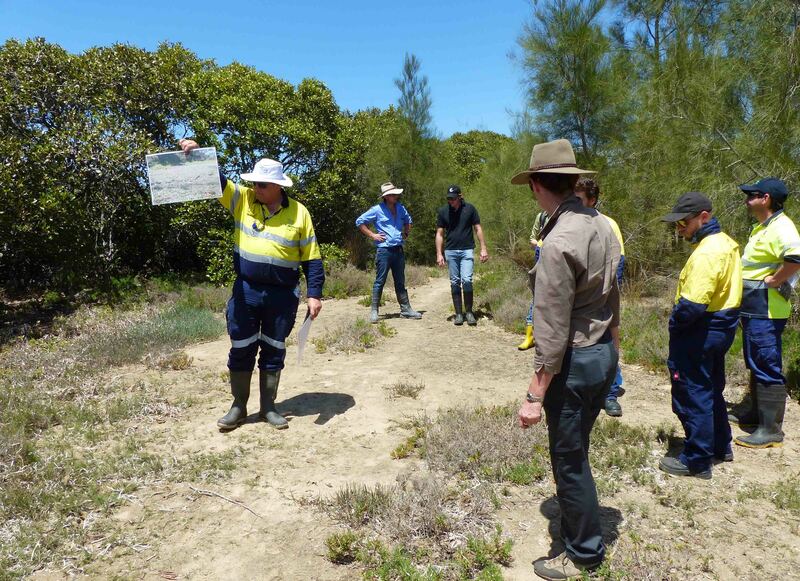 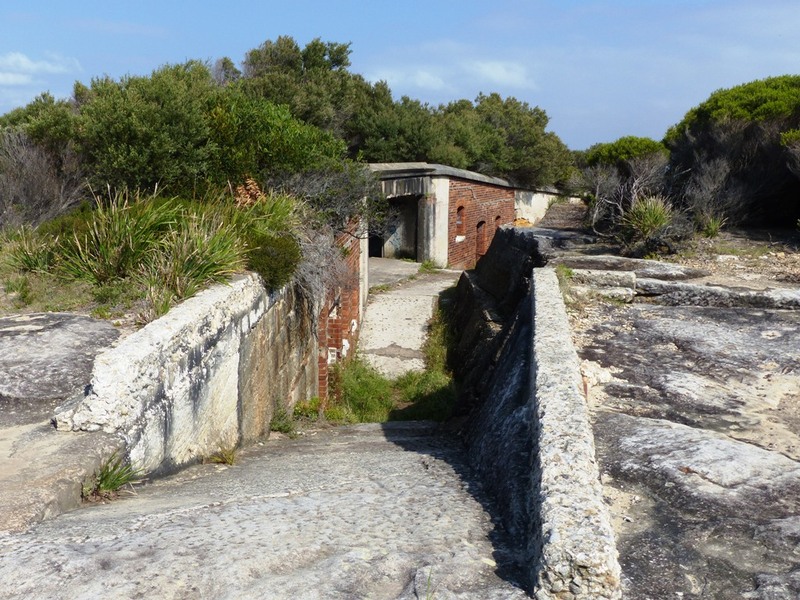 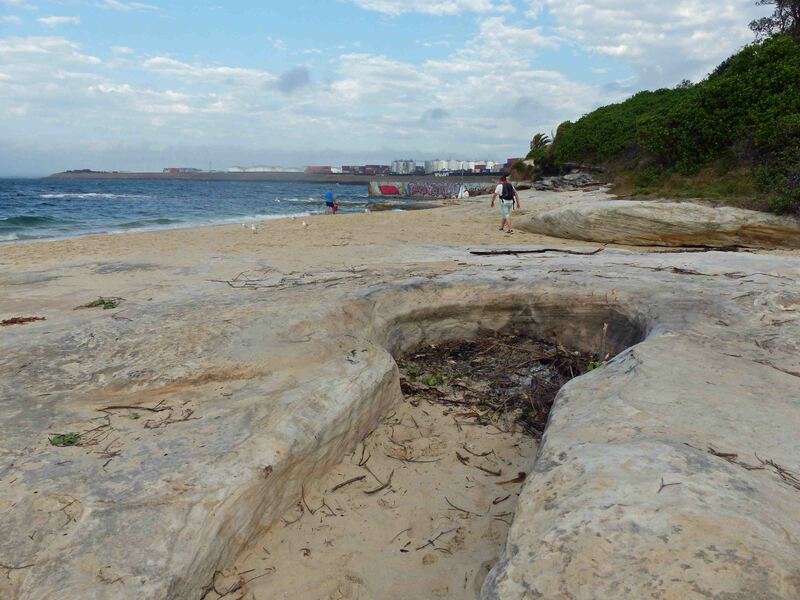 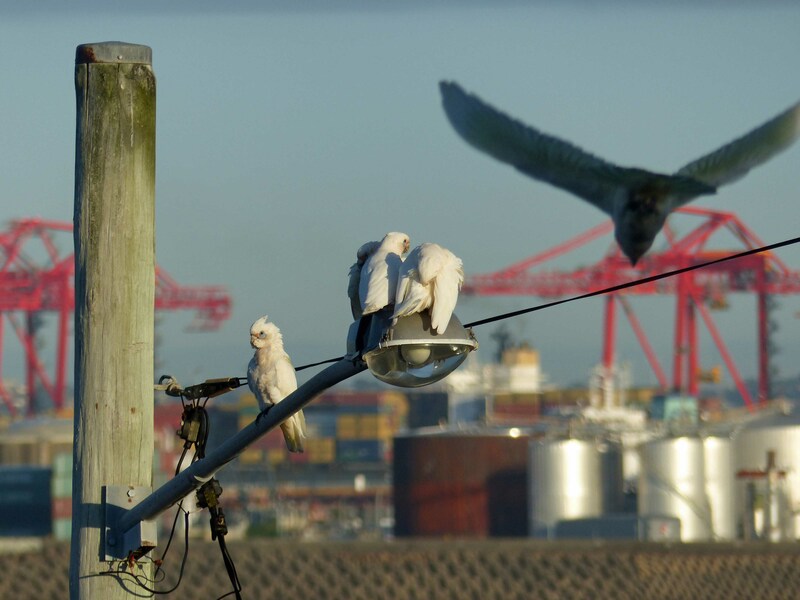 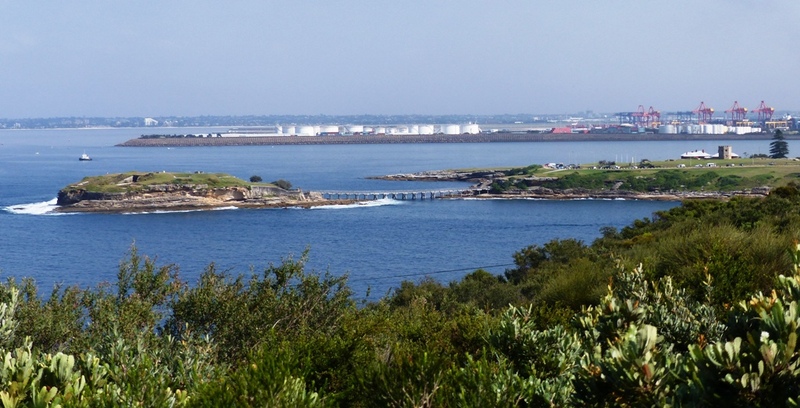 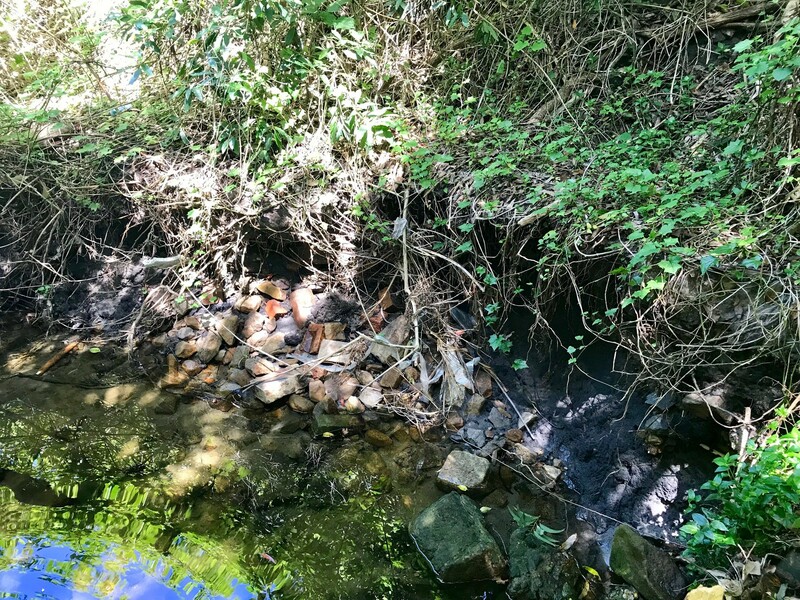 In 2013 Caltex was responsible for a major oil spill in Botany Bay and in April 2015 undertook to provide funds for work on the Gross Pollutant Trap that filters stormwater entering Congwong Lagoon. 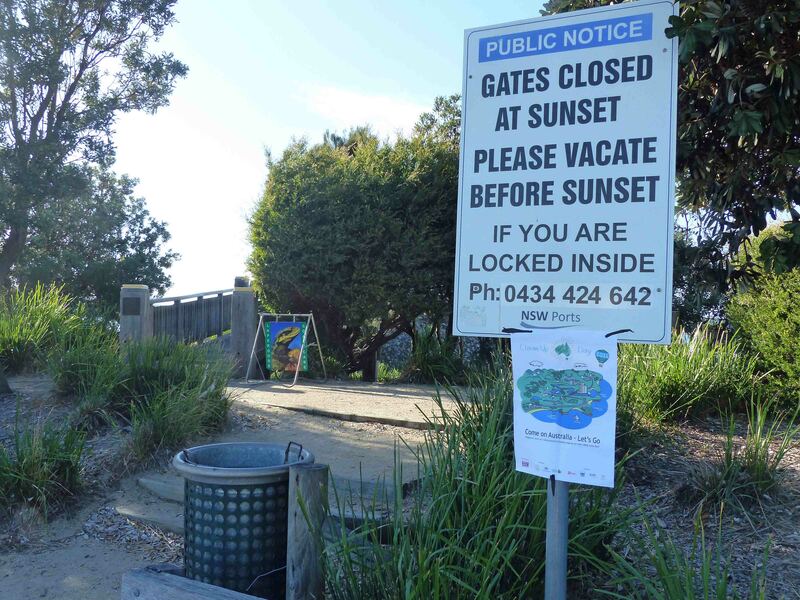 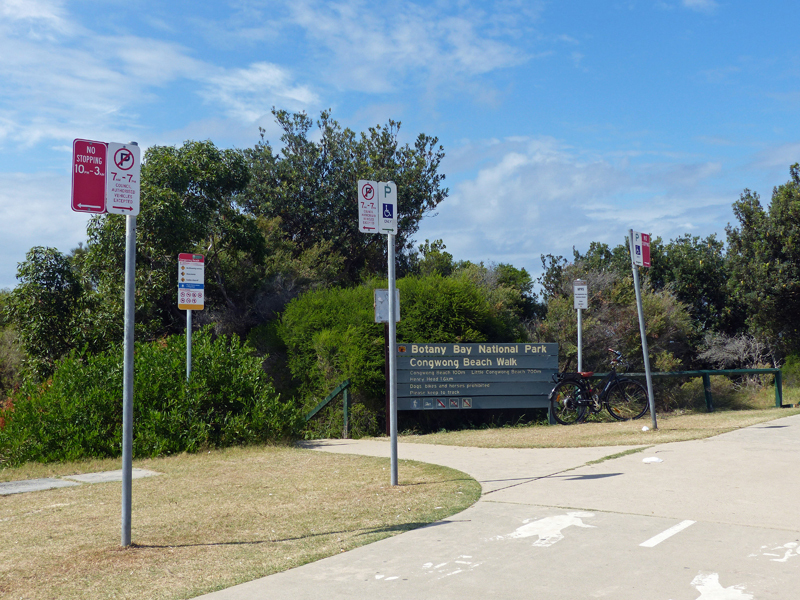 Photos from yesterday including signs at the entry to the Beach (6 poles but no bike rack). 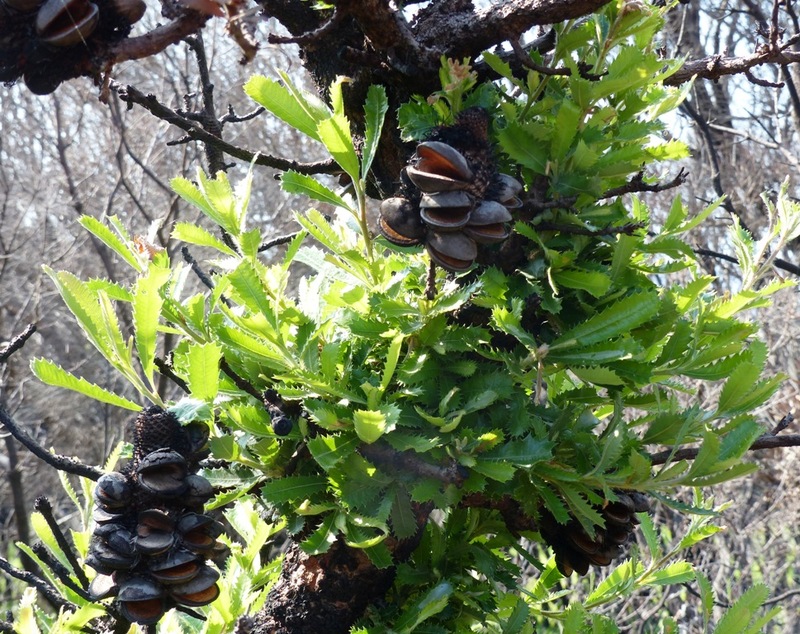 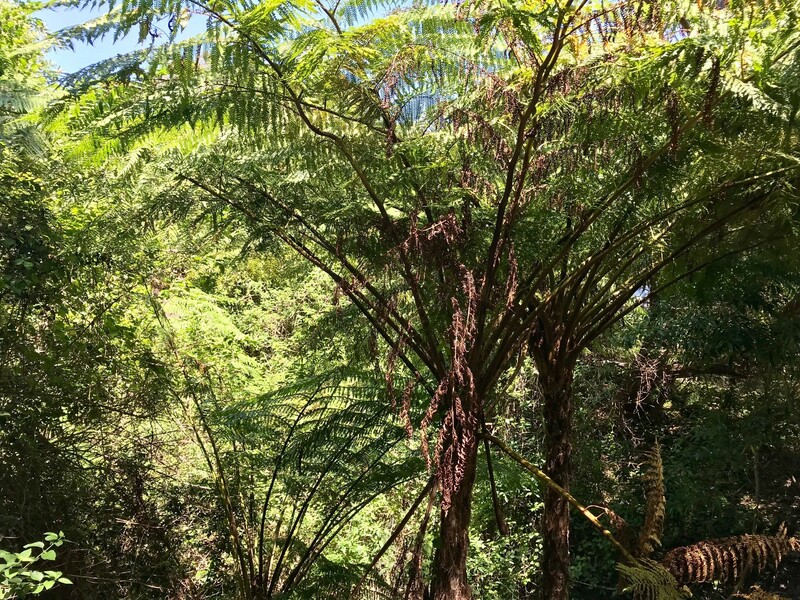 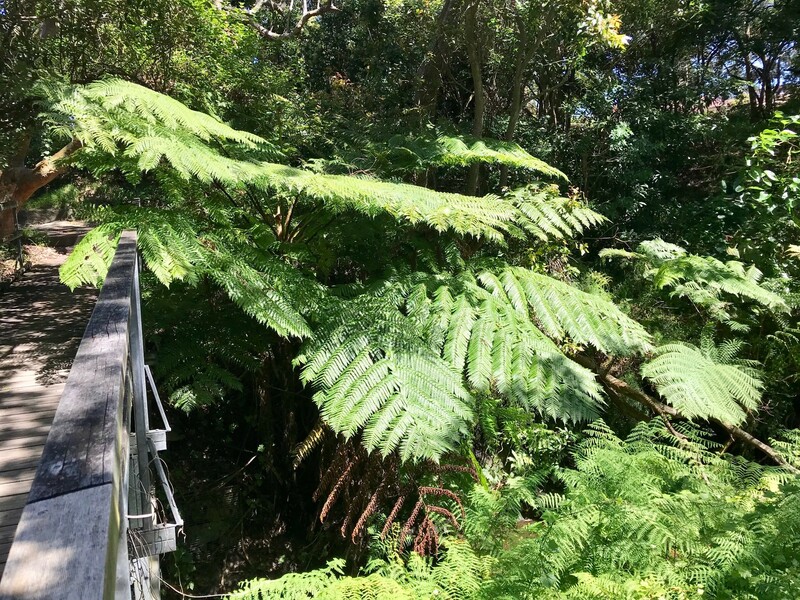 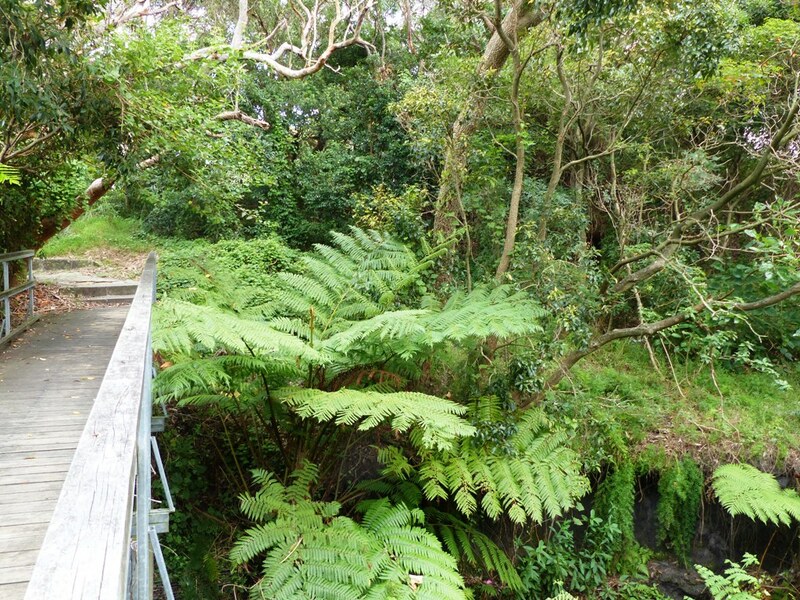 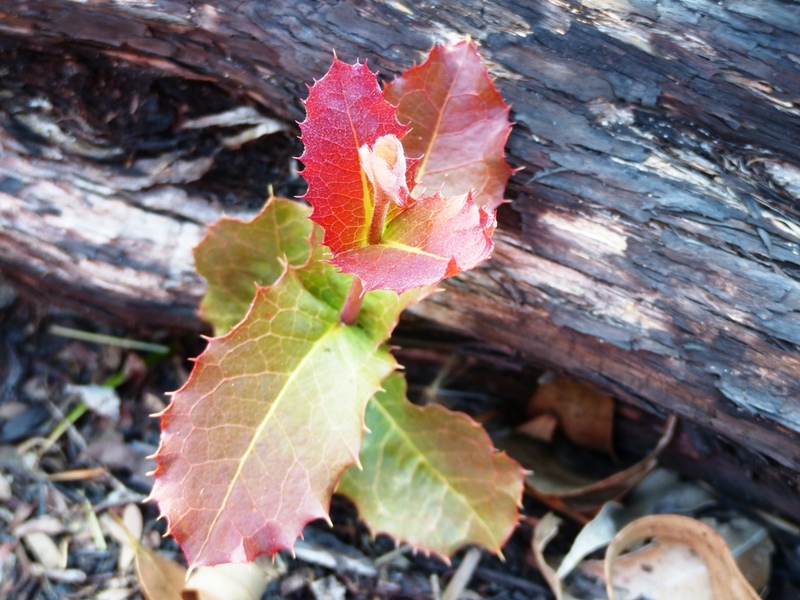 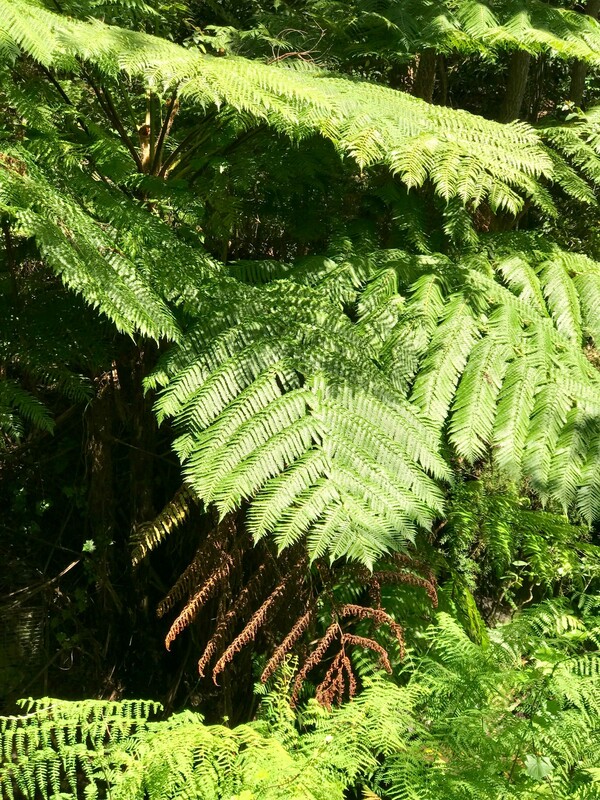 Seen on the walk to Henry Head today: Woody pears and banksia emerging after recent fires; Endiandra sieberi (Corkwood) along with tree ferns at Happy Valley creek; Chloanthes stoechadis recovering very slowly after being cut out in 2006; new sign at the entry to the Orica track to Cape Banks; Endeavour lighthouse and Henry Head fortifications; Hybanthus monopetalus; Wet n Wild near the Minmi wreck Cape Banks; scenes of Bare Island with Banks (revetment wall)Norfolk Pine Macquarie Watchtower Museum and monument.